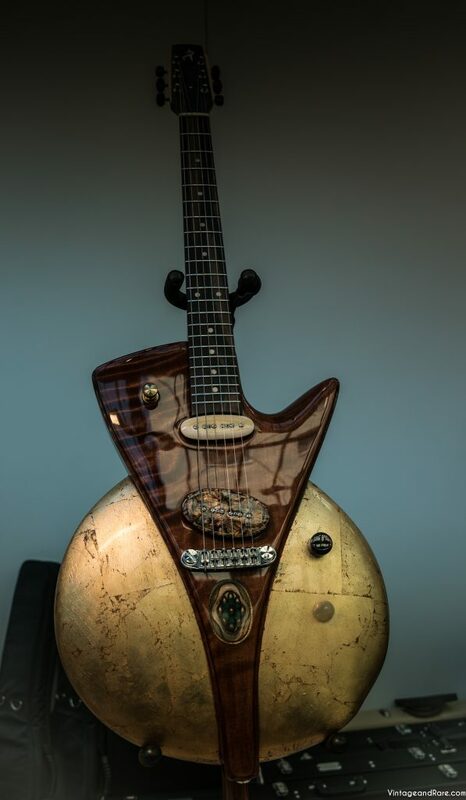 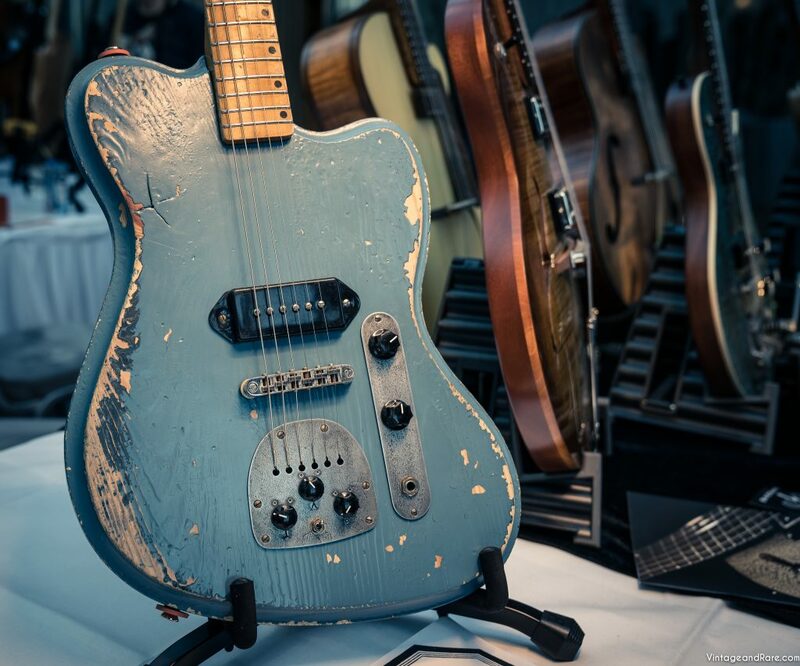 This March 2019 Heritage Auctions will be presenting for sale the only fully documented Bob Dylan Guitar offered for many years. The 1965 Fender XII String, given by The Fender guitar company to Bob Dylan was featured on the iconic album Blonde on Blonde. 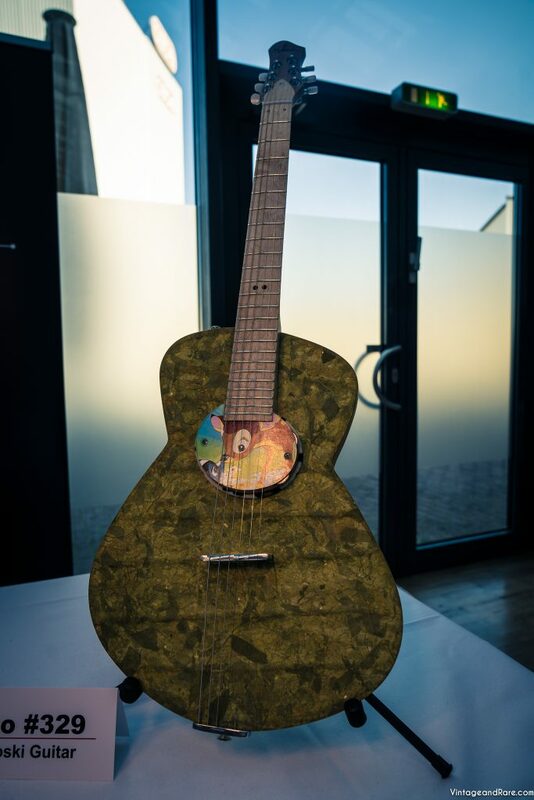 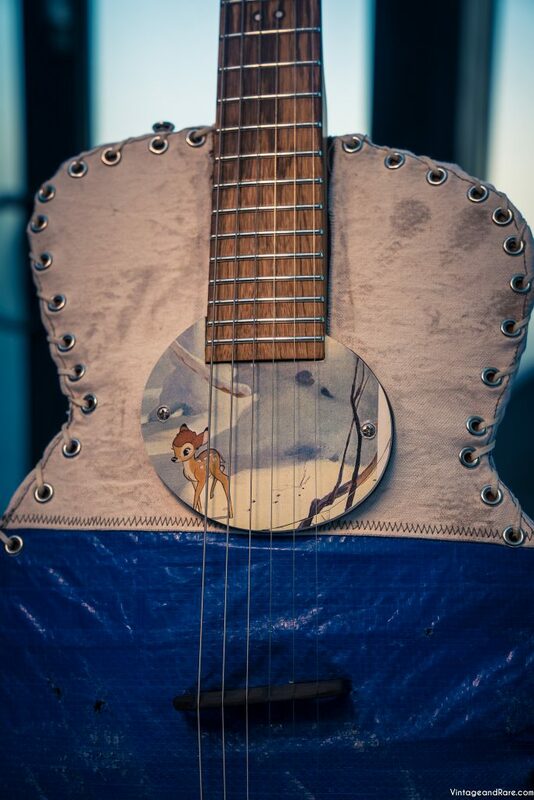 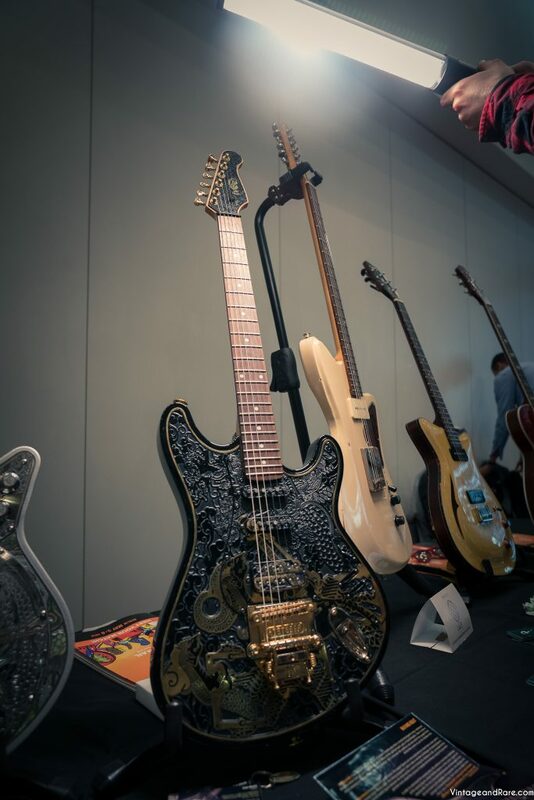 This guitar was supplied to Mr Dylan around the same time as the Iconic NEWPORT STRATOCASTER and bears the same Ashes and Sands Inc stencil on the case. 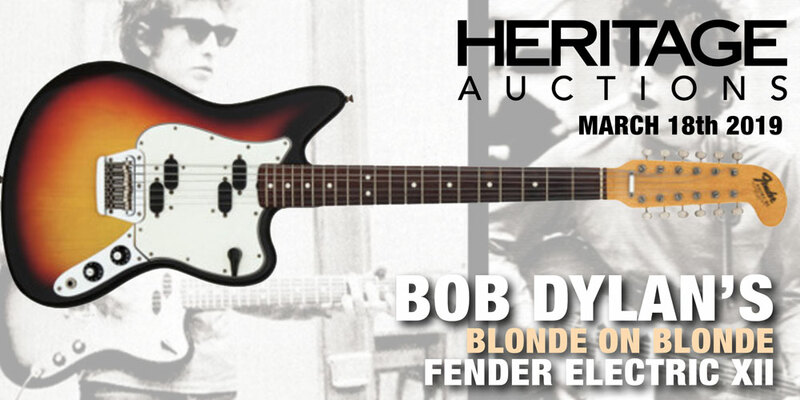 The instrument comes with signed documentation from Bob Dylan confirming his ownership and use of the instrument. 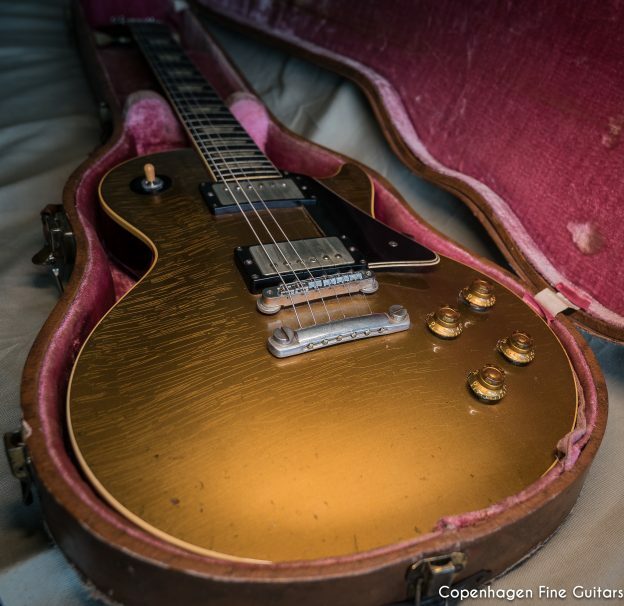 This beautiful 1957 Gibson Les Paul Standard Goldtop is currently listed for sale through V&R seller Copenhagen Fine Guitars . 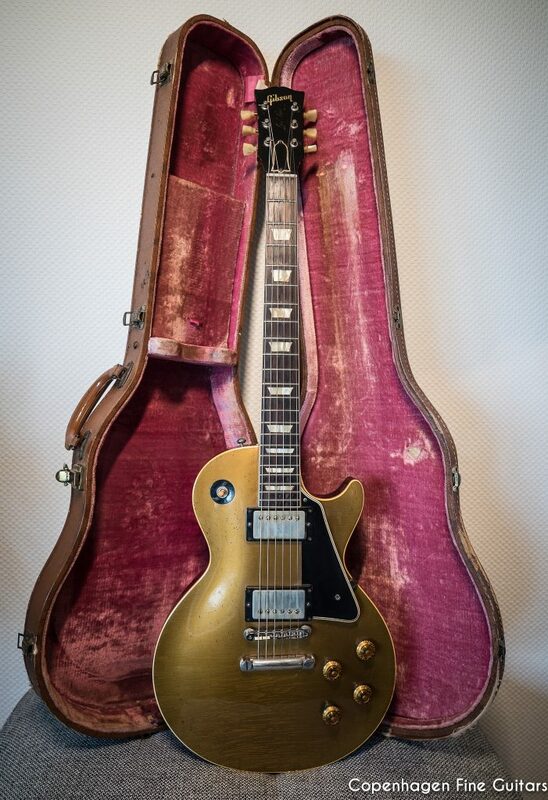 This very rare and collectible LP features a dark back model with black pickguard and pickup mounting rings. 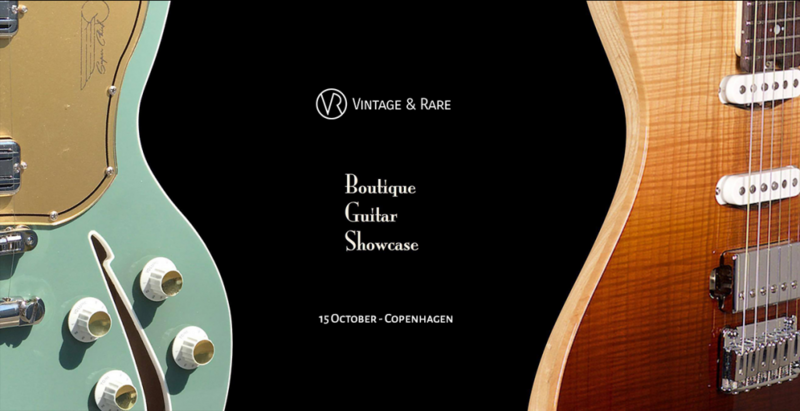 On the 15th of oct. 2017 Vintage & Rare hosted the Boutique Showcase in Copenhagen. 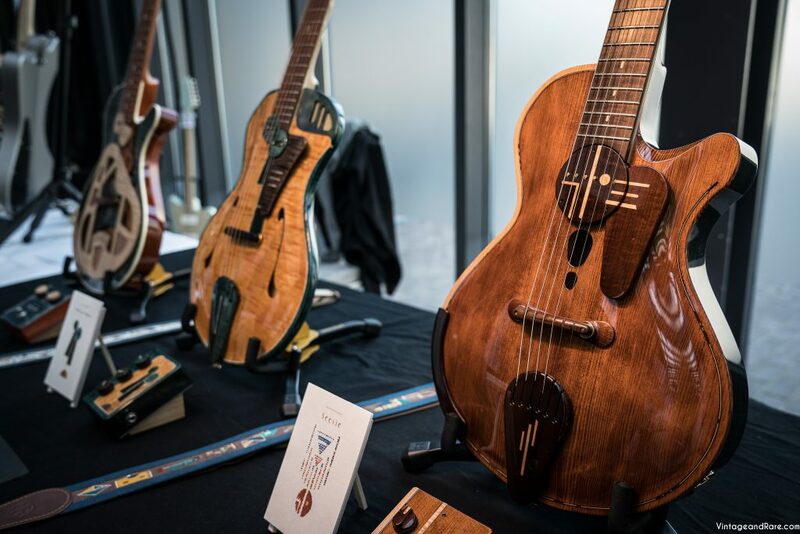 The event was held in Vibe Factory Recording Studios with unique and fine handmade instruments on display from Di Donato Guitars, Donovan Leah Guitars, Ergon Guitars, James Trussart Guitars, Kauer Guitars, Klein Community, Marleaux BassGuitars, McSwain Guitars, MOVGuitars, Sankey Guitars, Spalt Instruments, Tausch Electric Guitars, Teye Guitars, Wild Customs, Deimel Guitarworks, Diego Vila Guitarras y, Bajos Custom, Turnstone Guitar Company, AC Guitars, Leo Guitars. 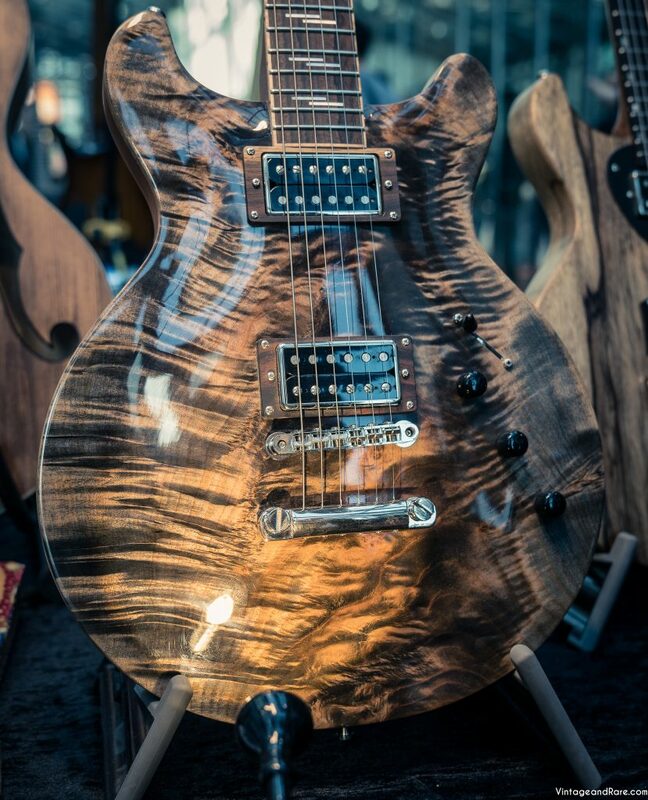 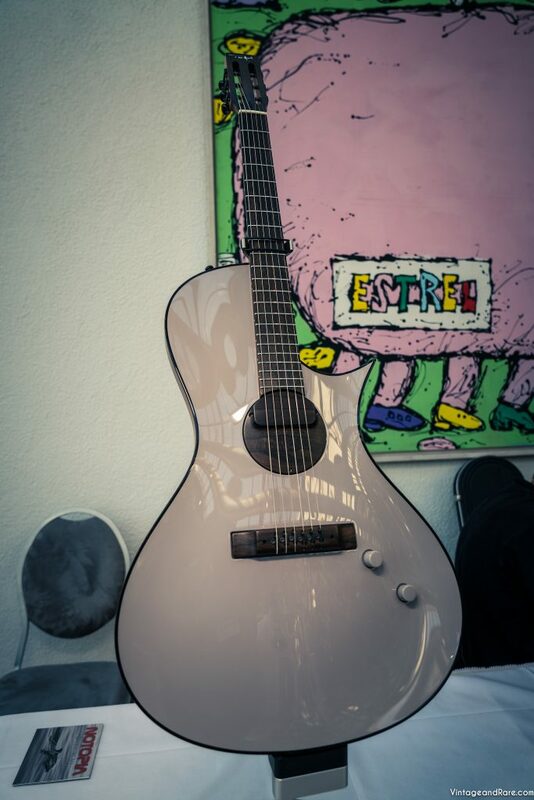 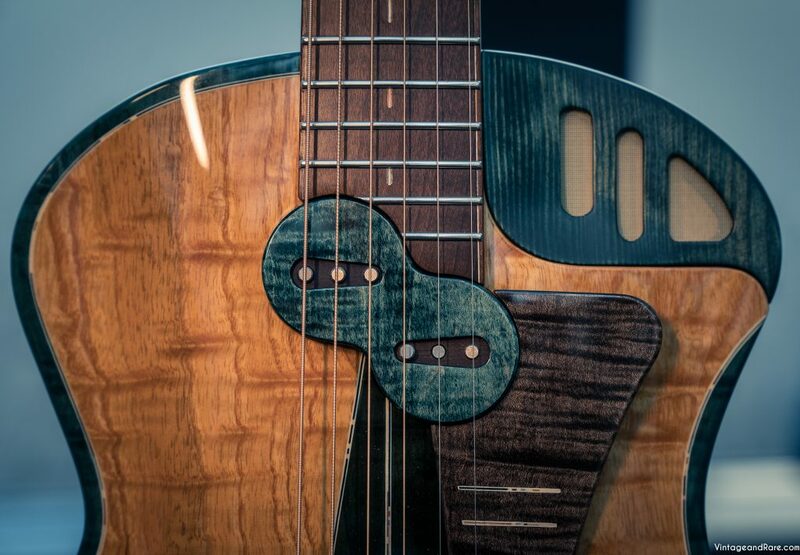 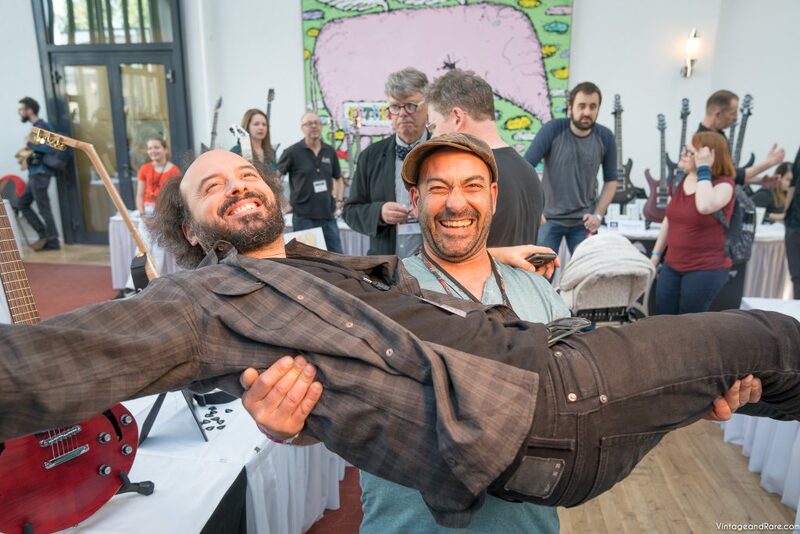 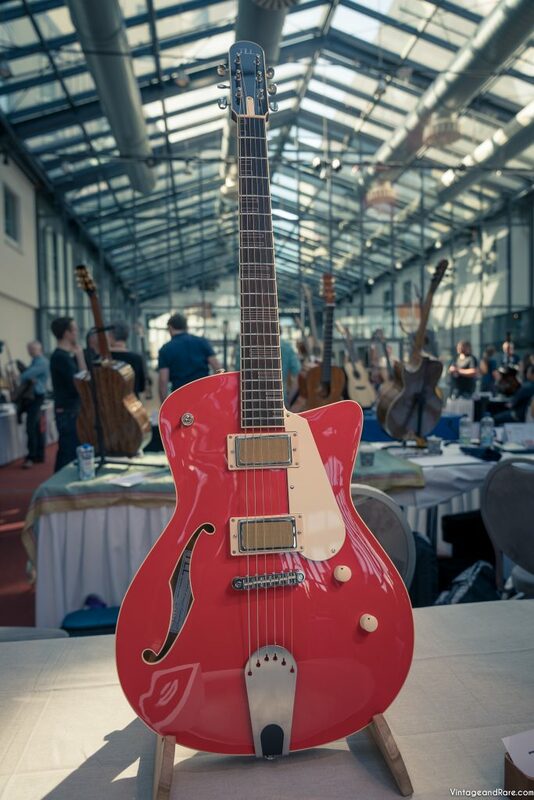 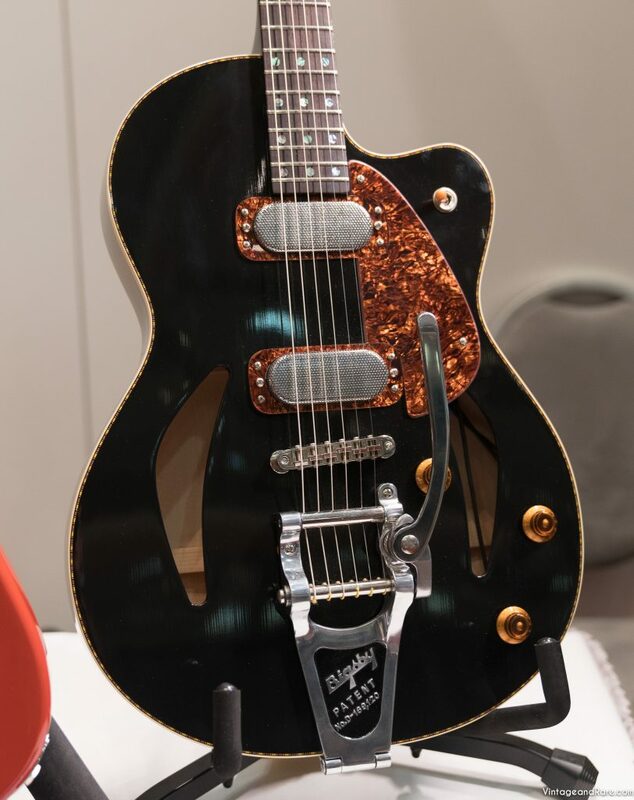 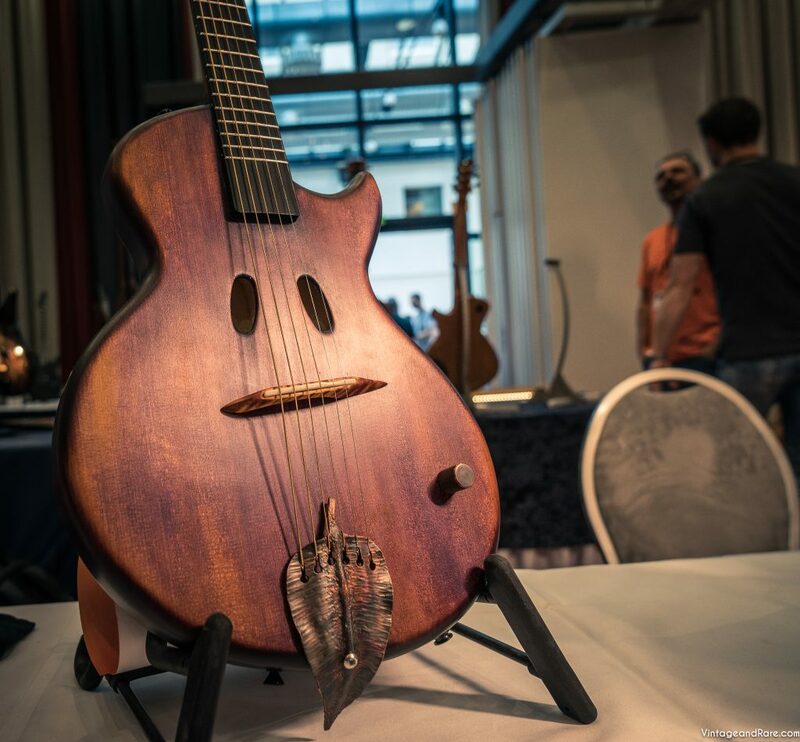 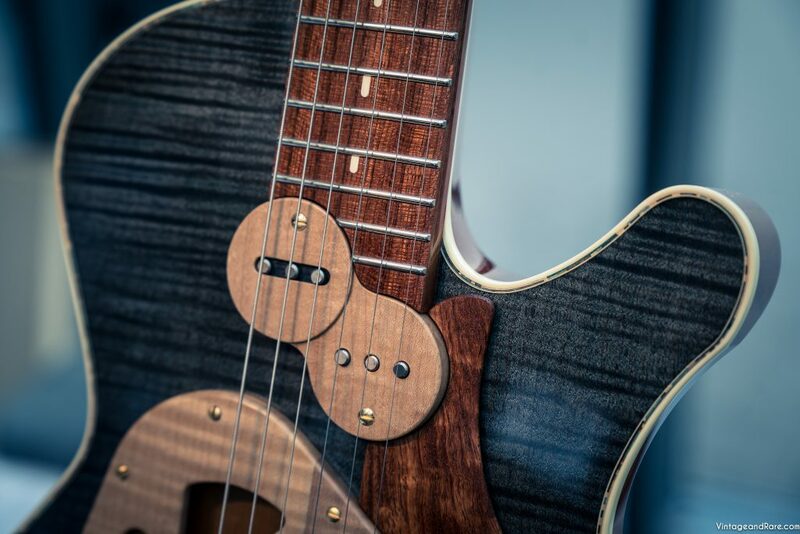 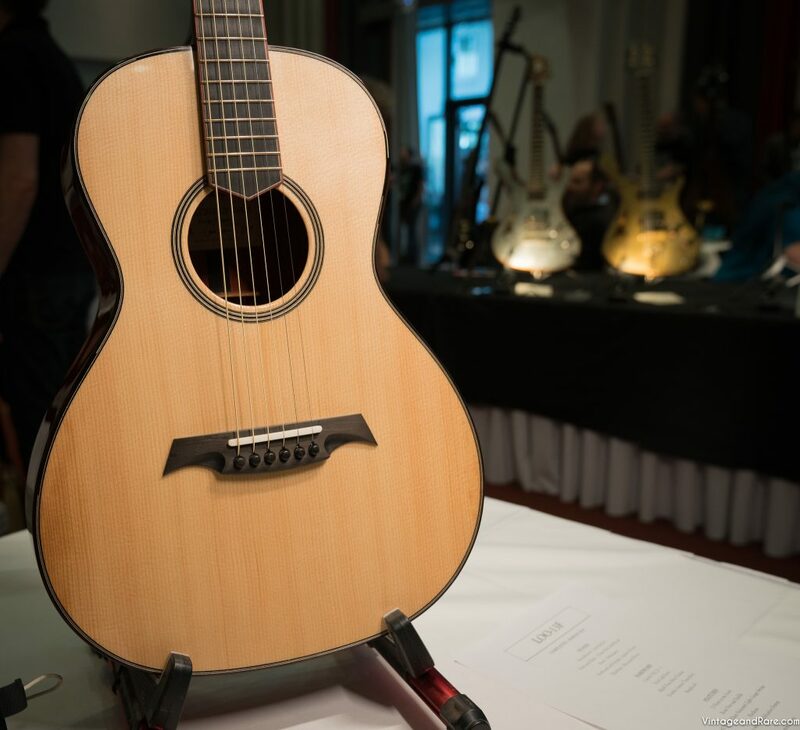 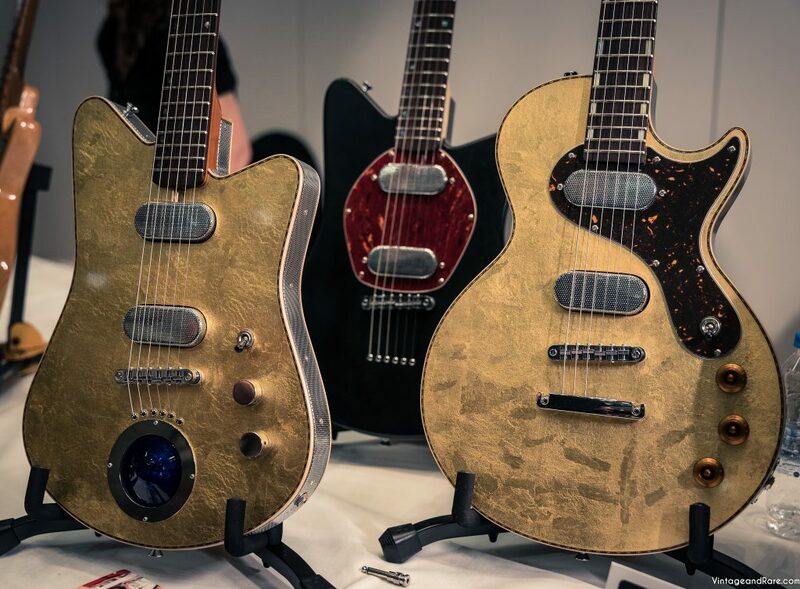 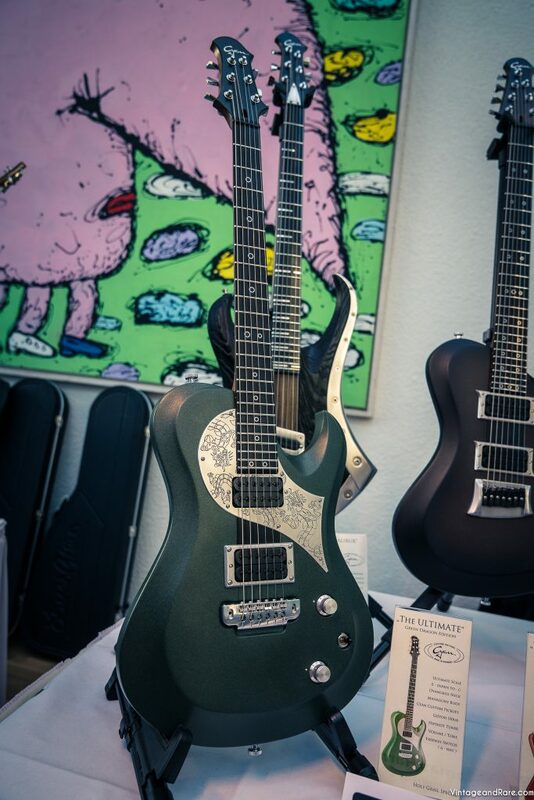 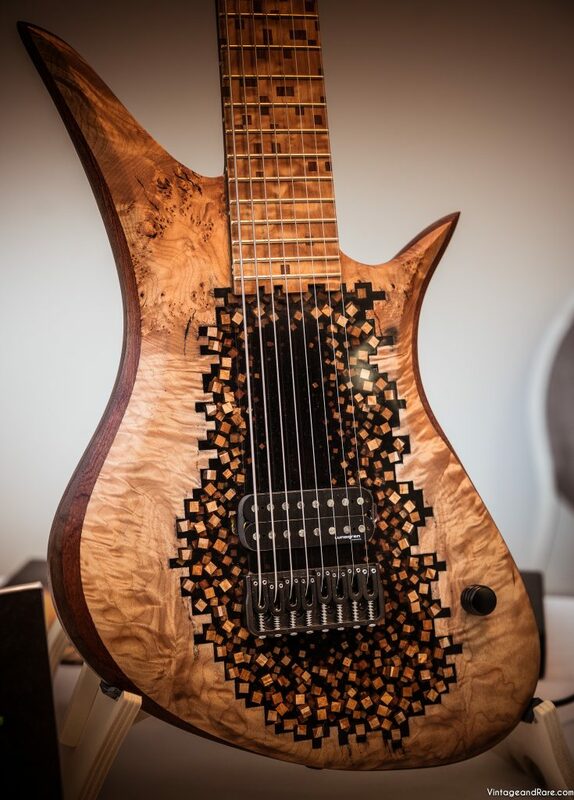 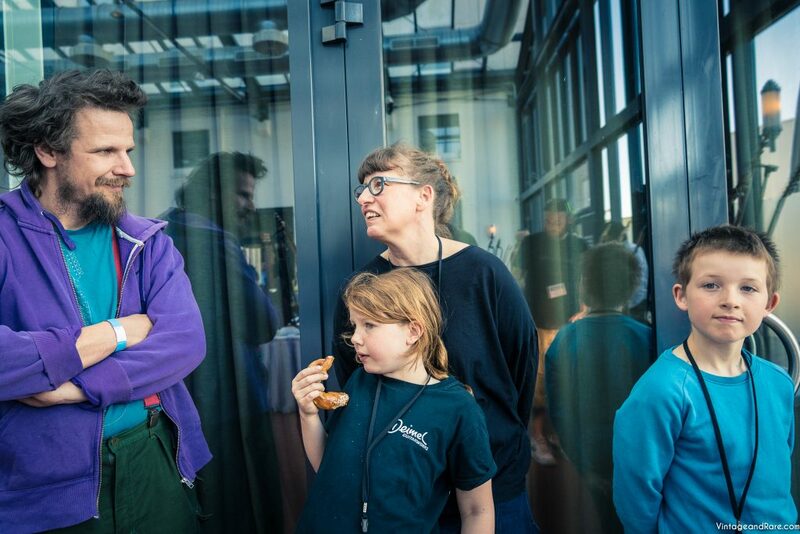 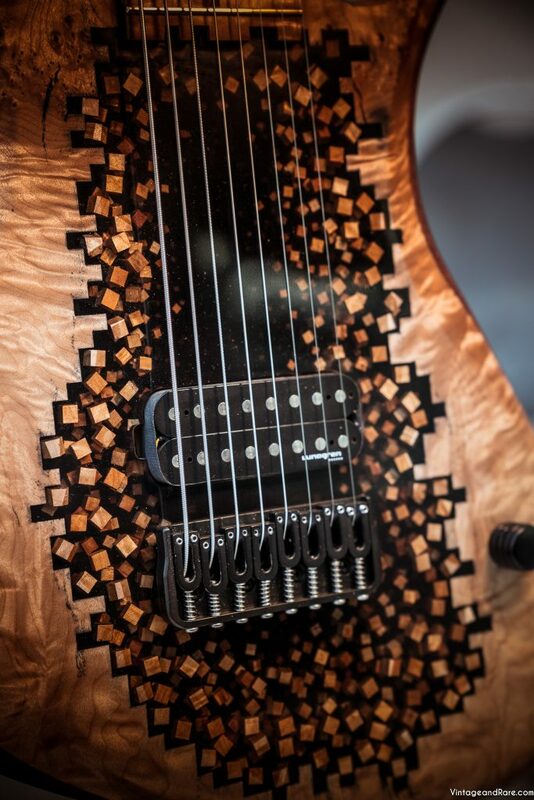 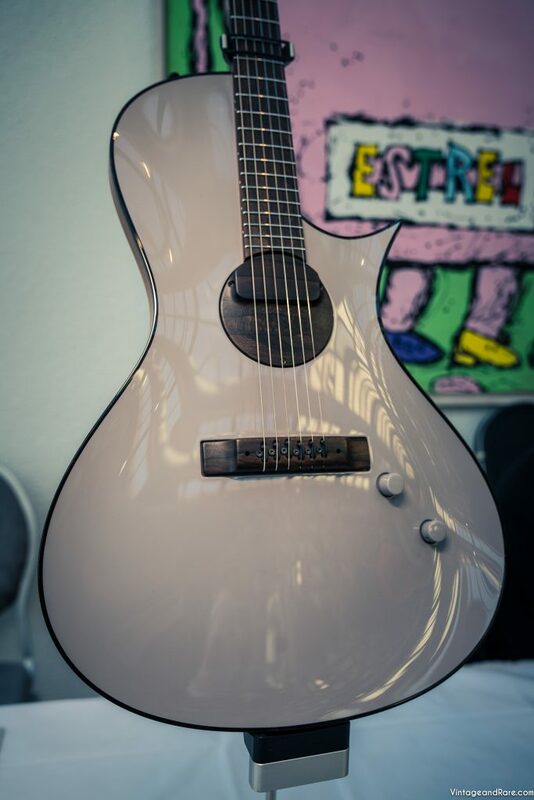 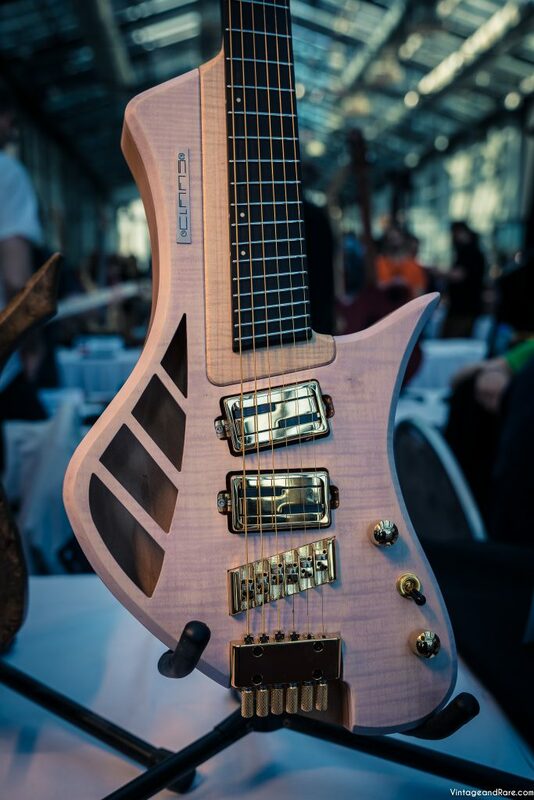 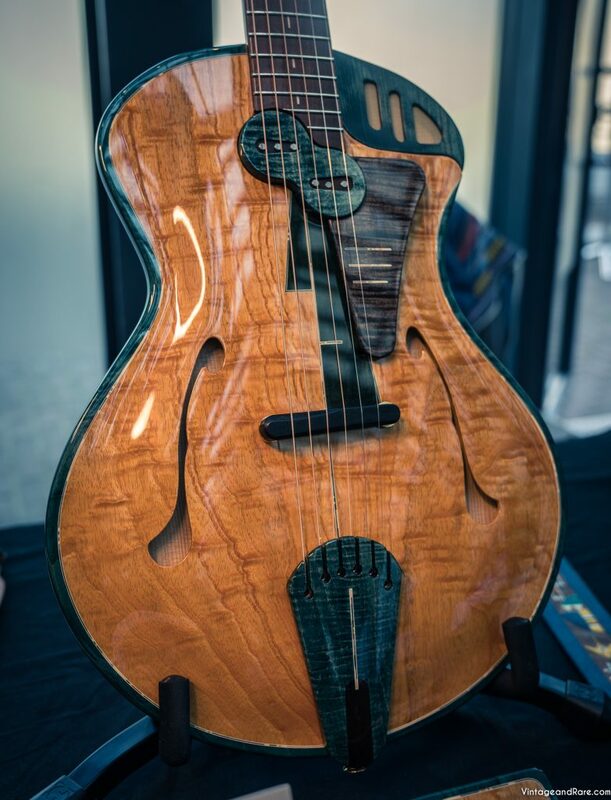 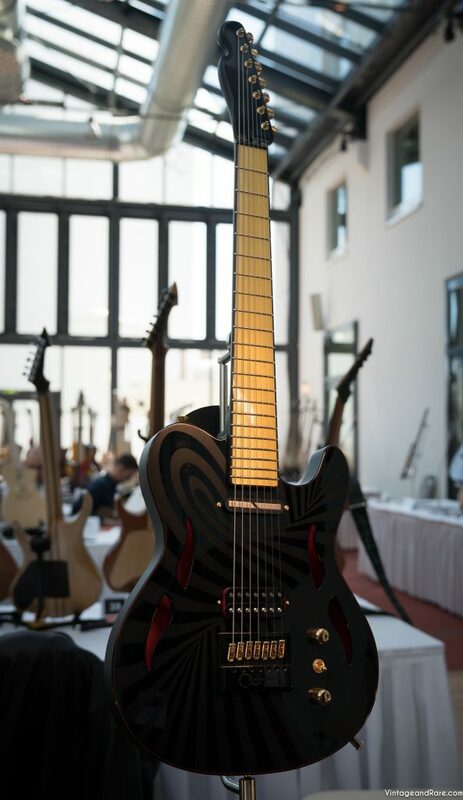 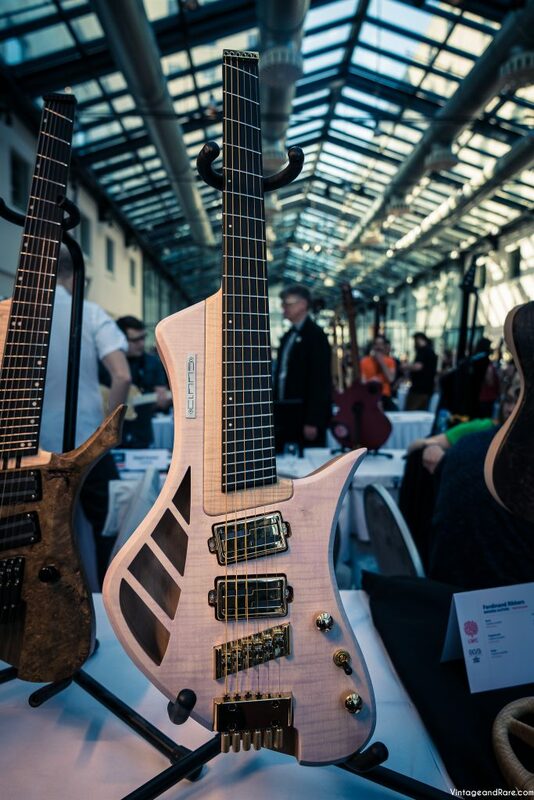 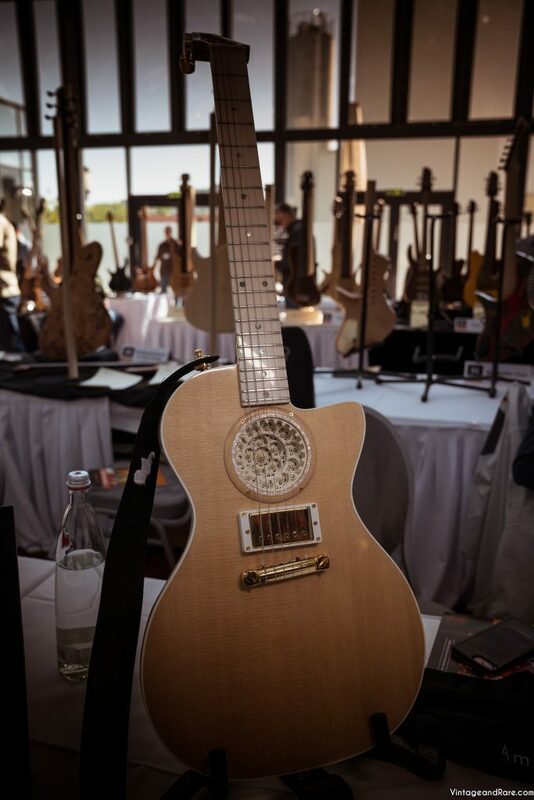 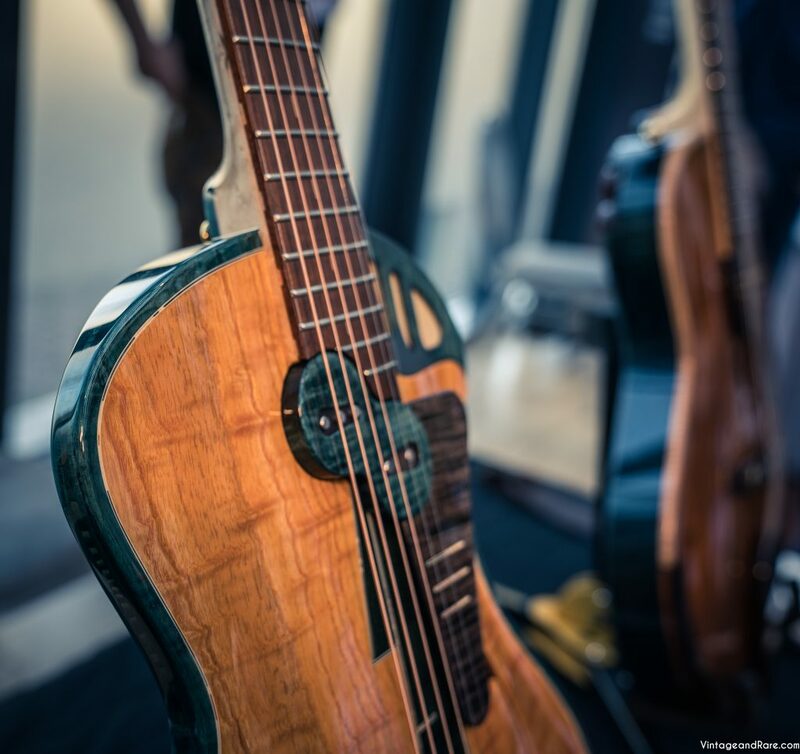 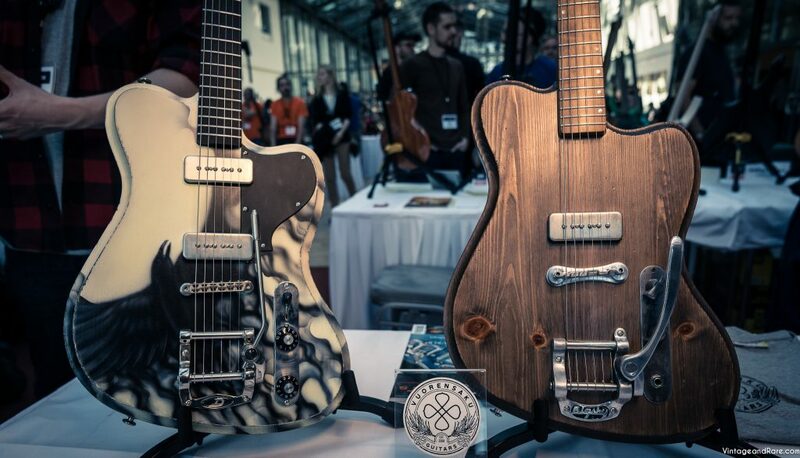 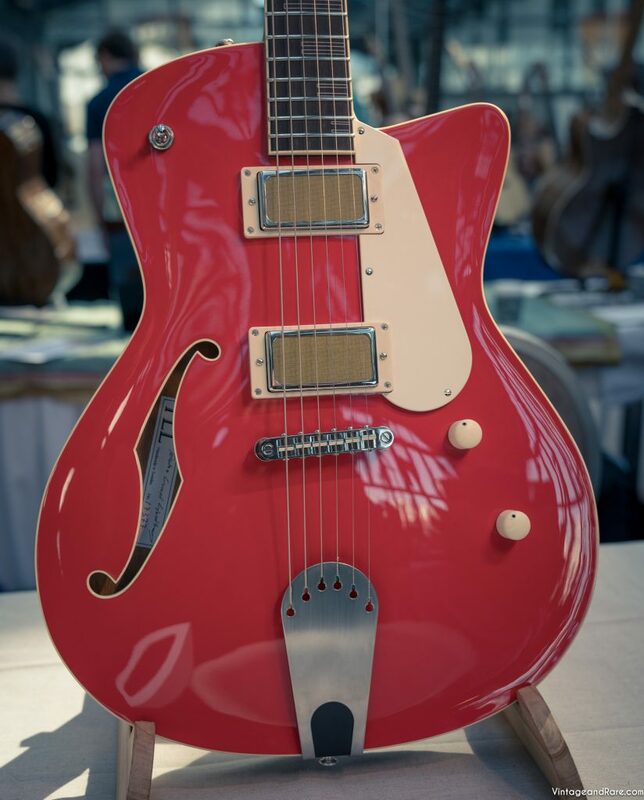 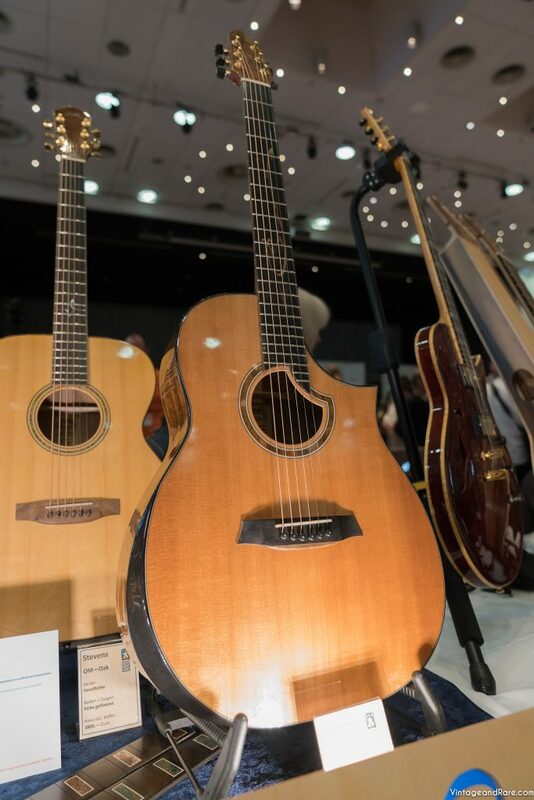 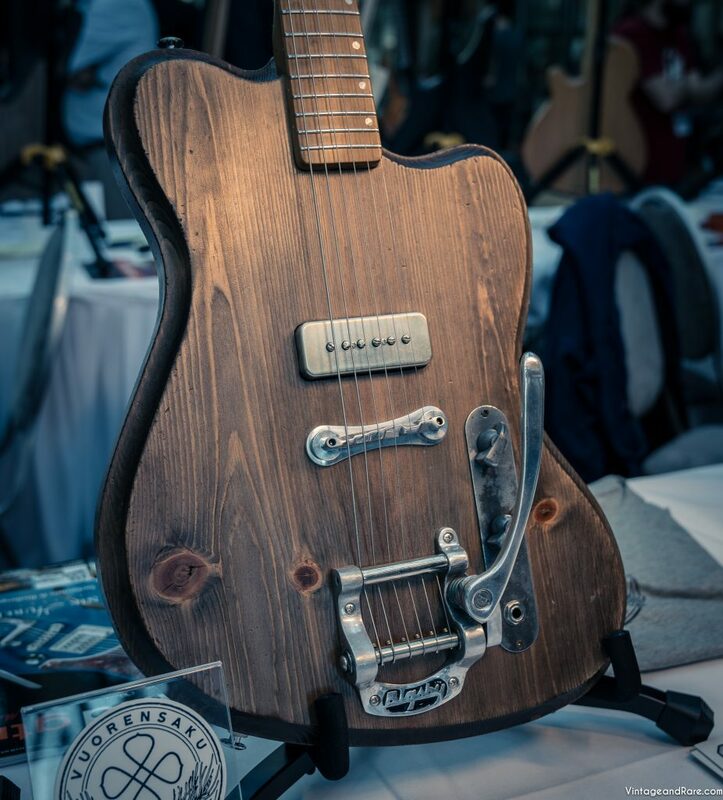 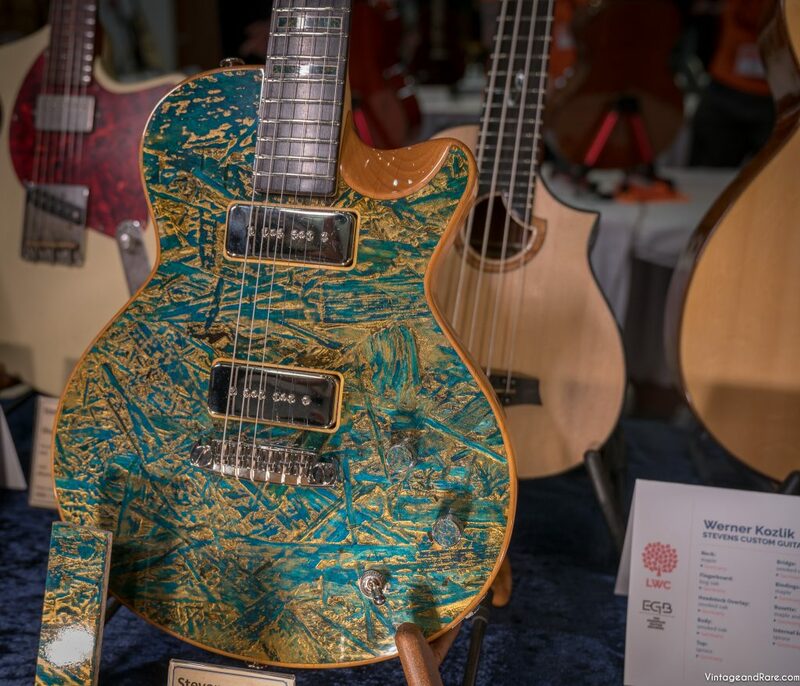 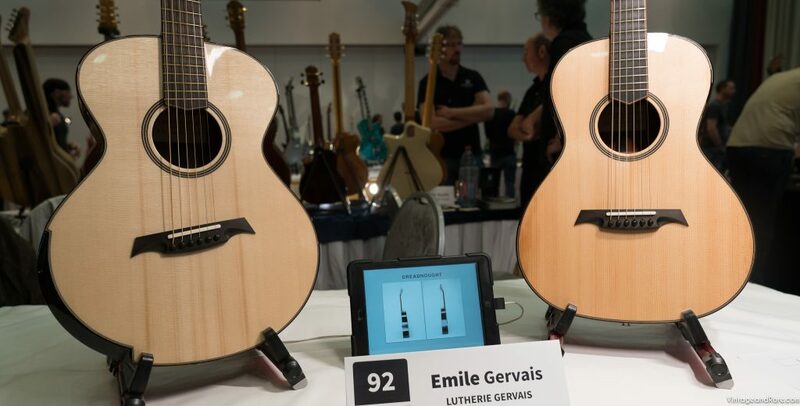 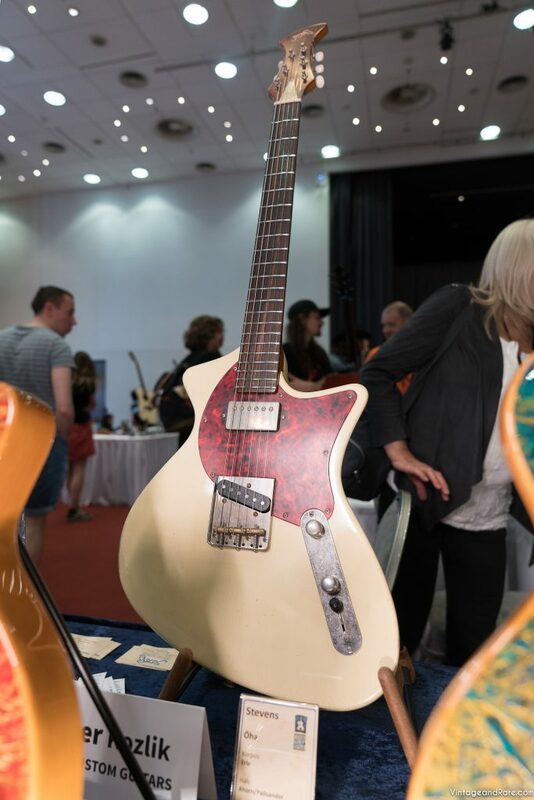 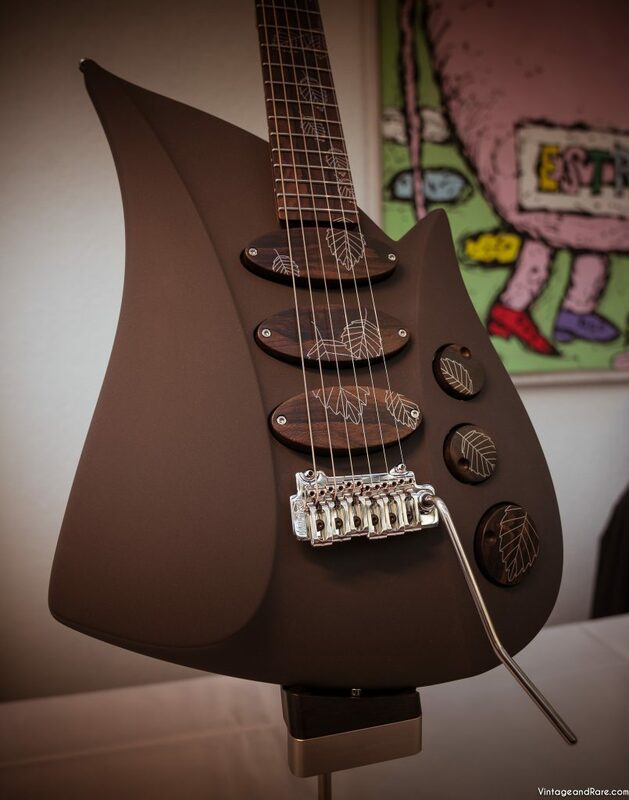 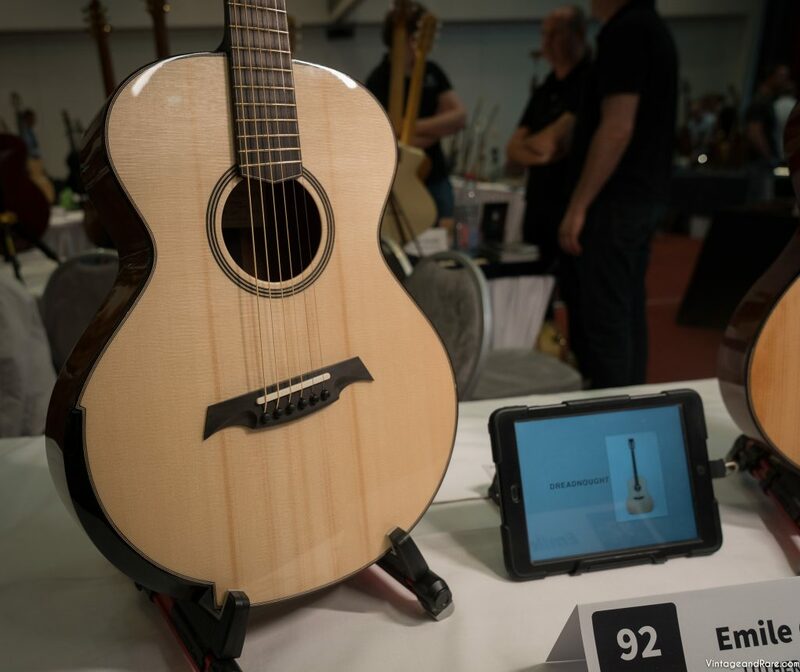 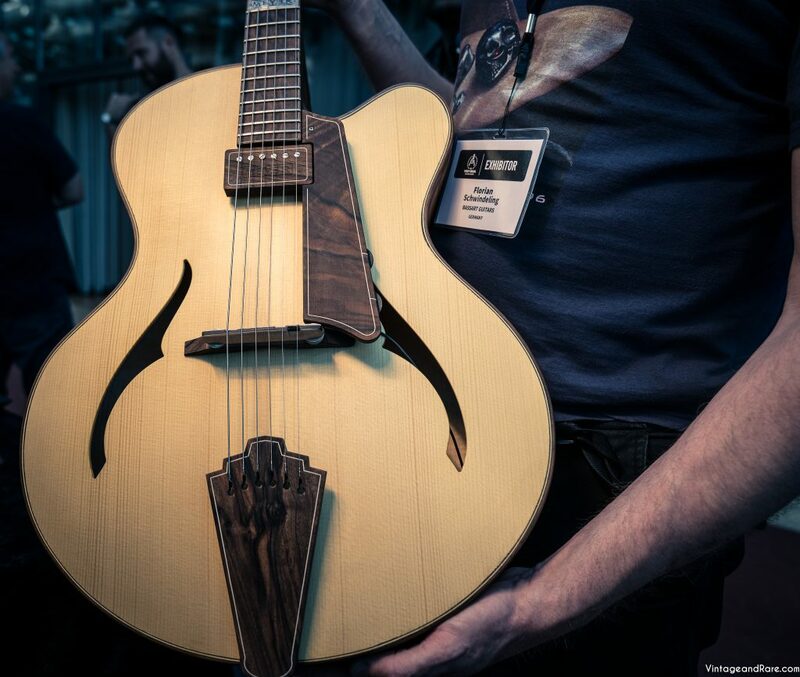 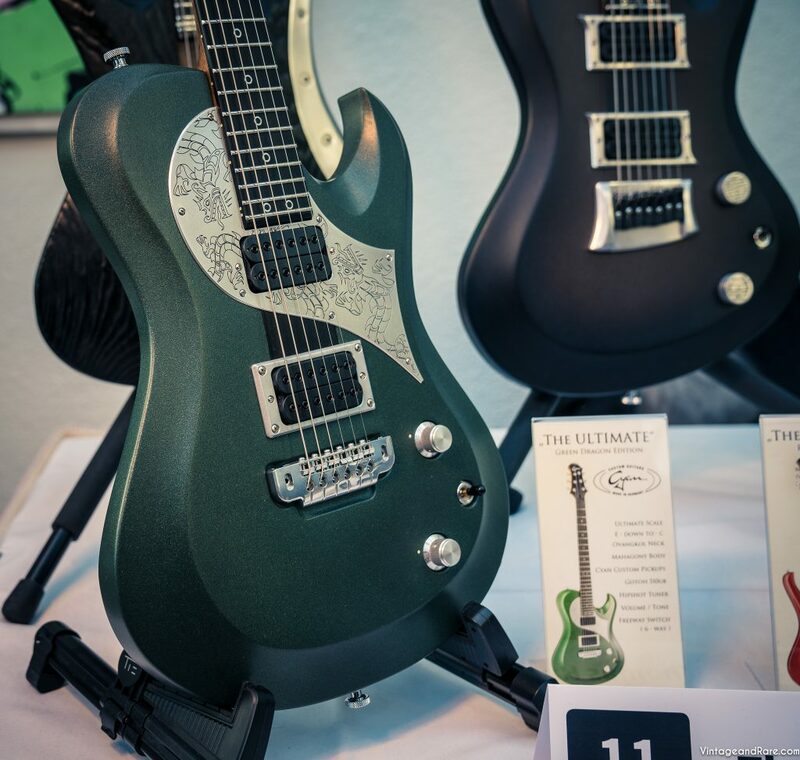 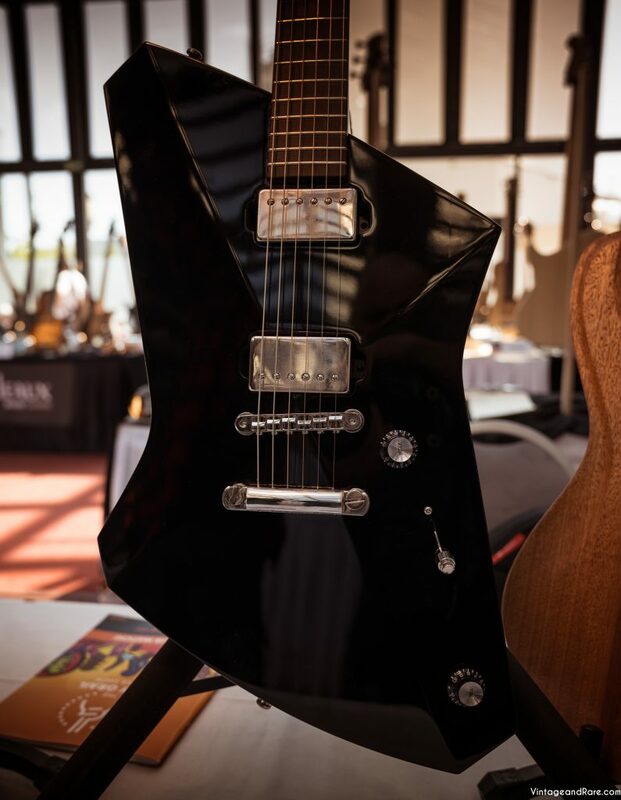 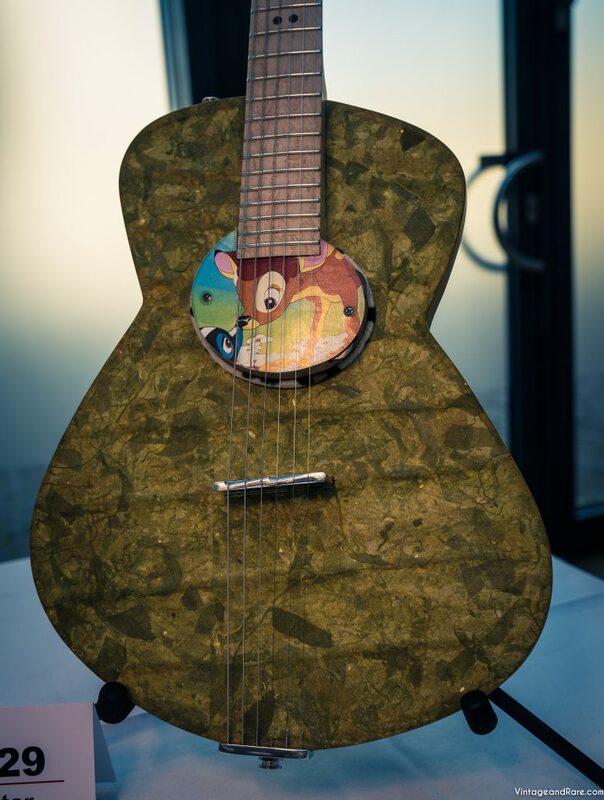 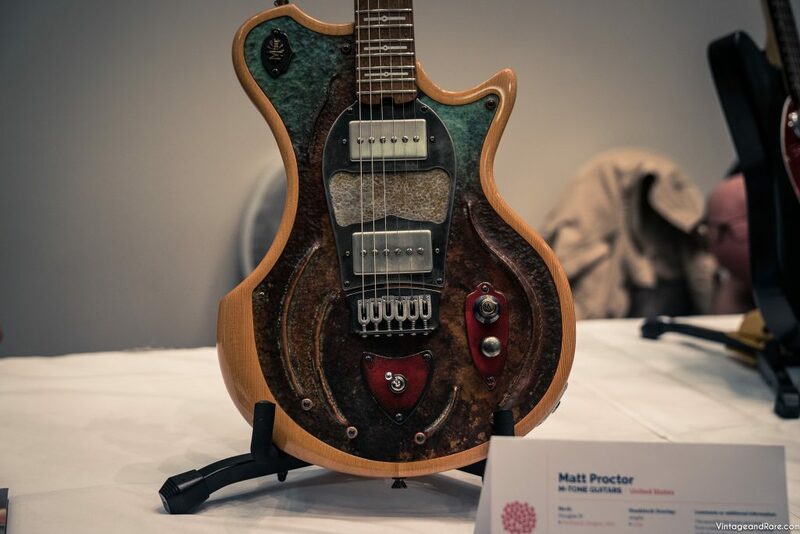 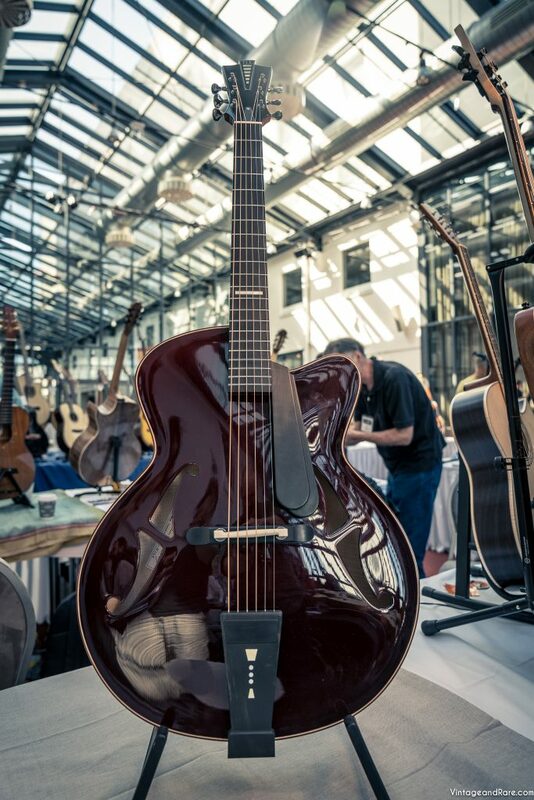 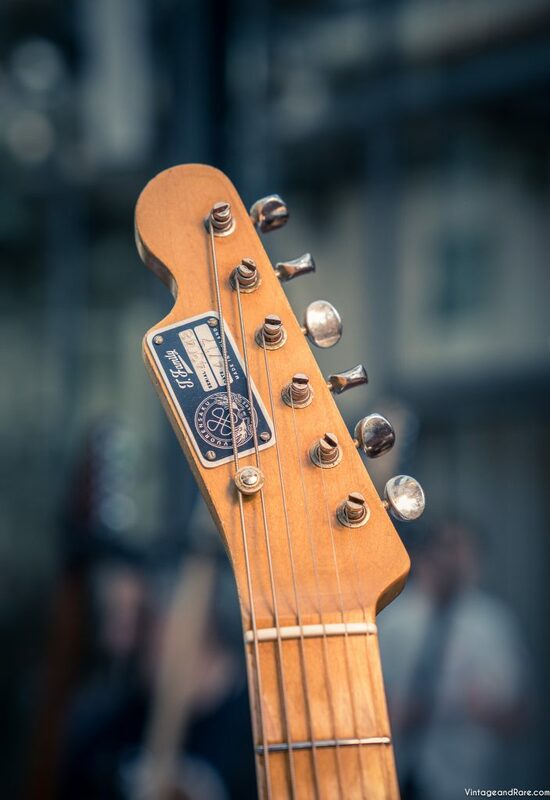 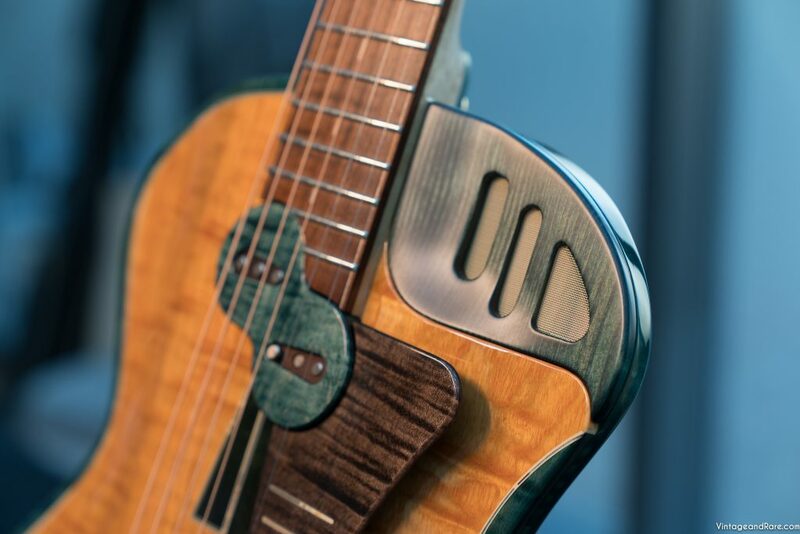 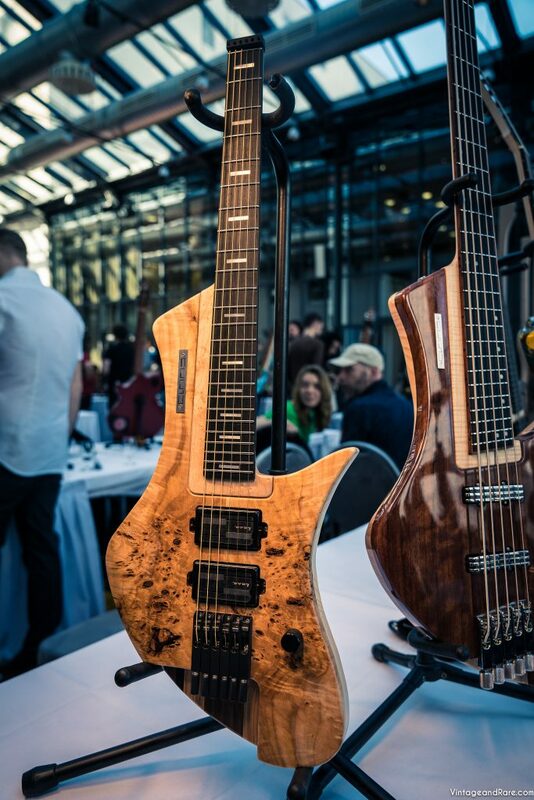 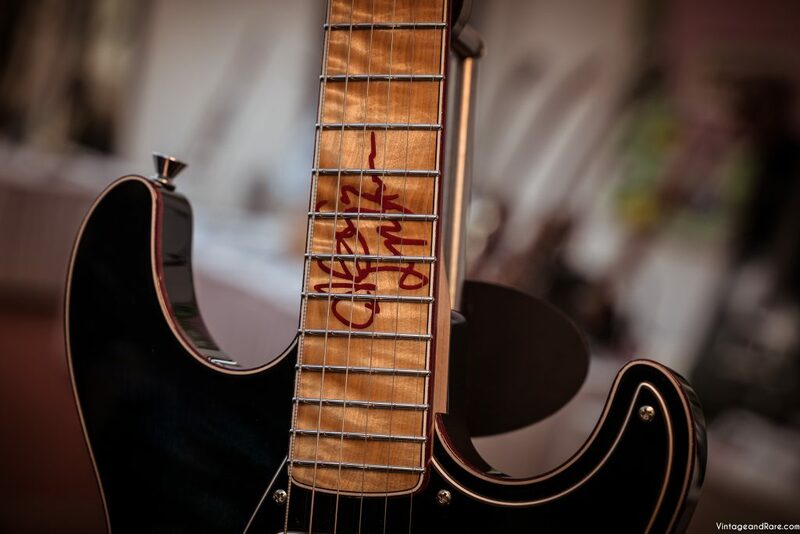 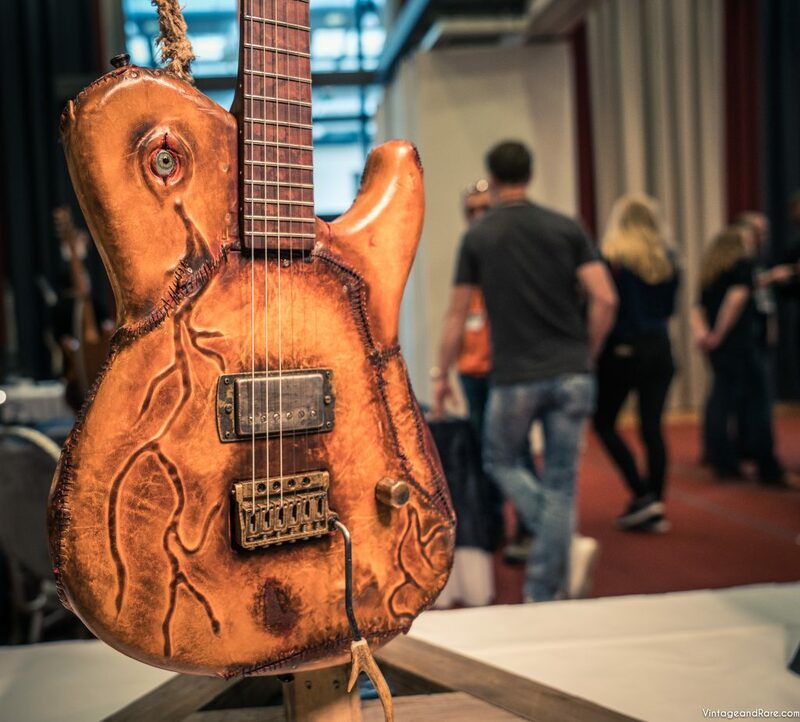 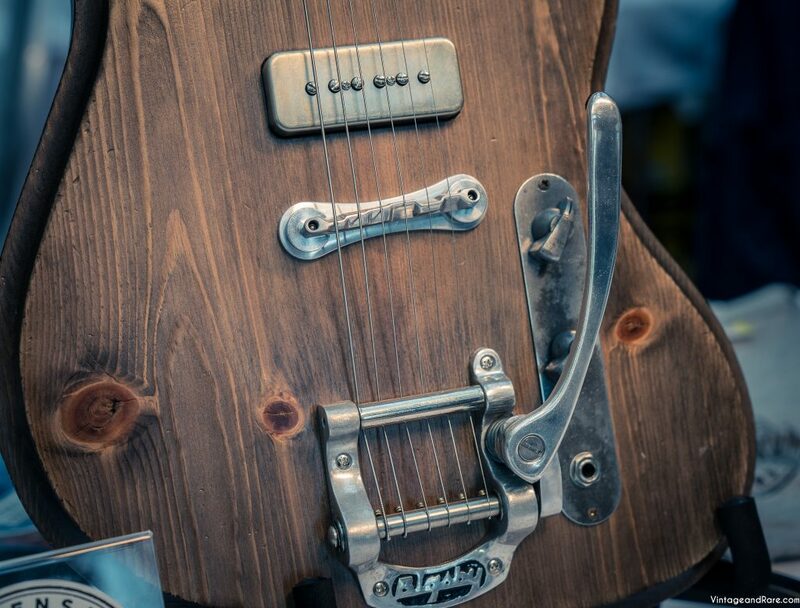 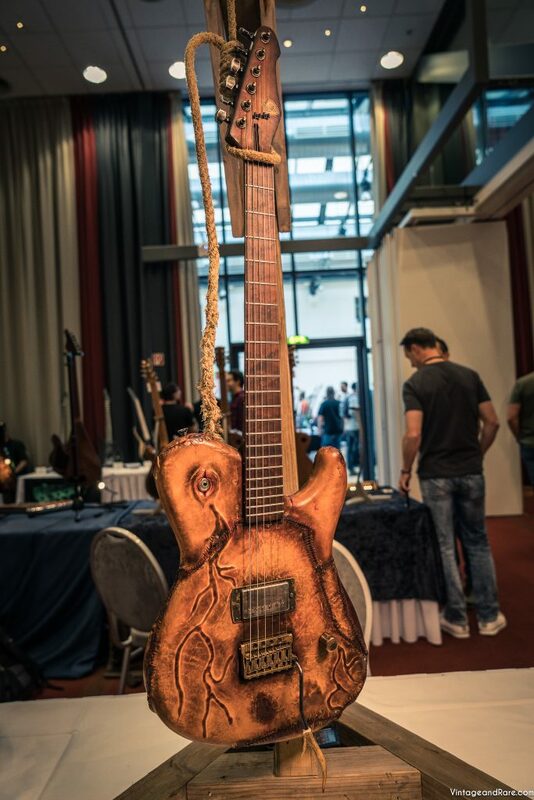 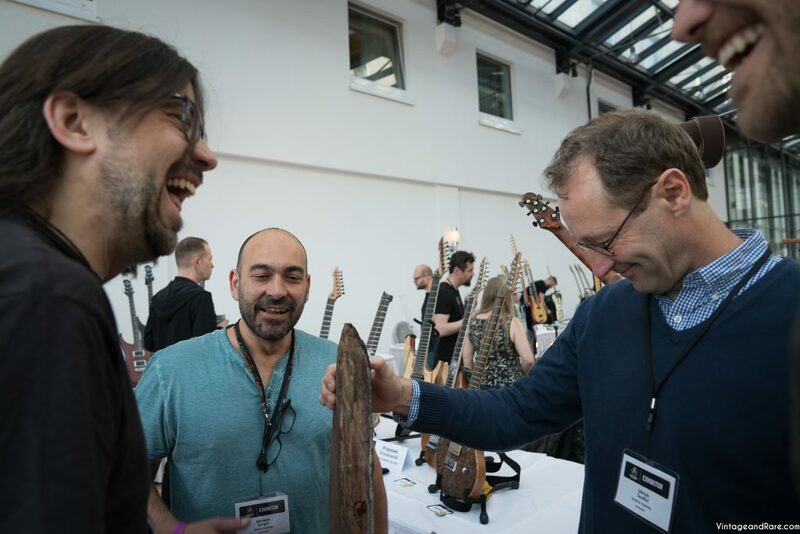 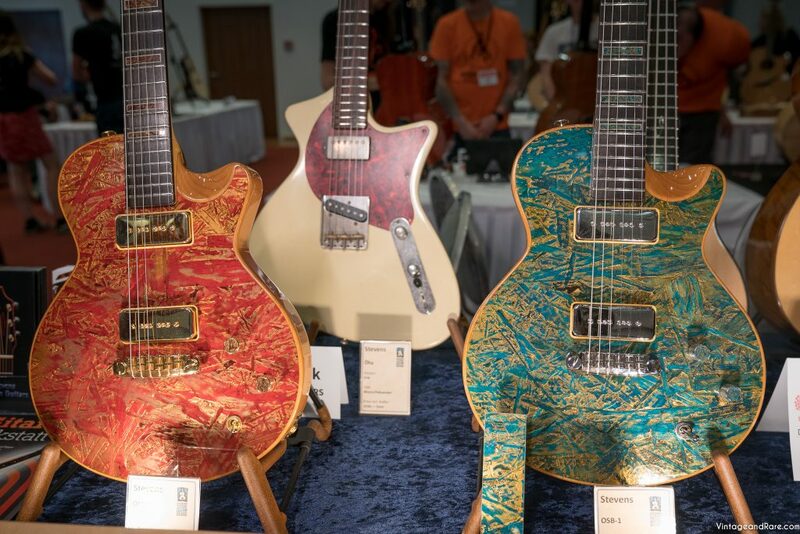 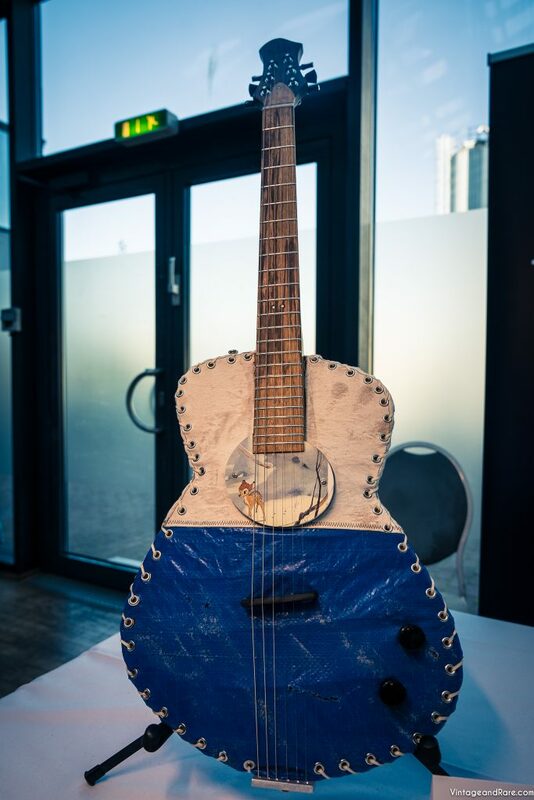 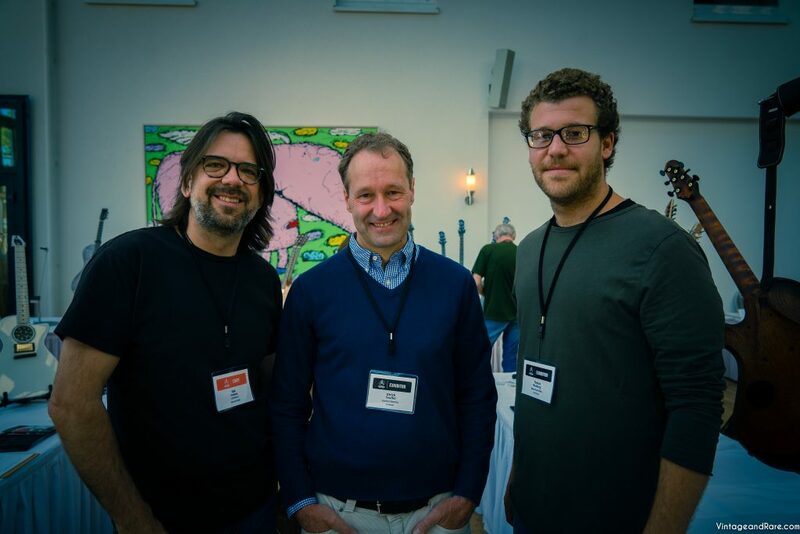 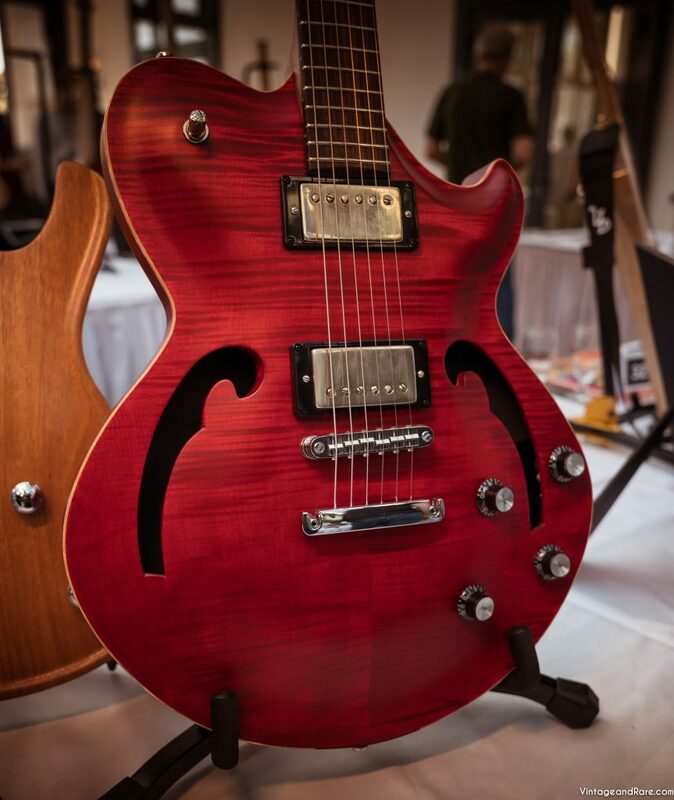 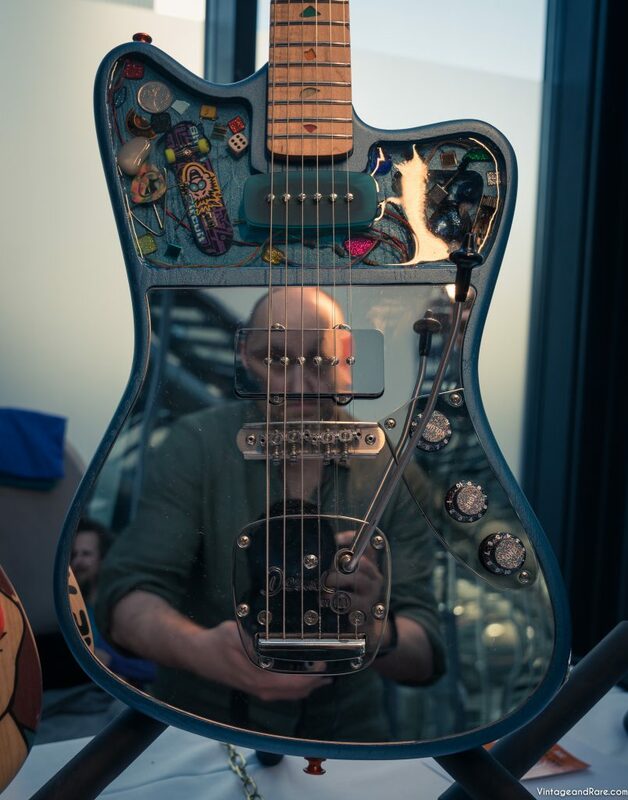 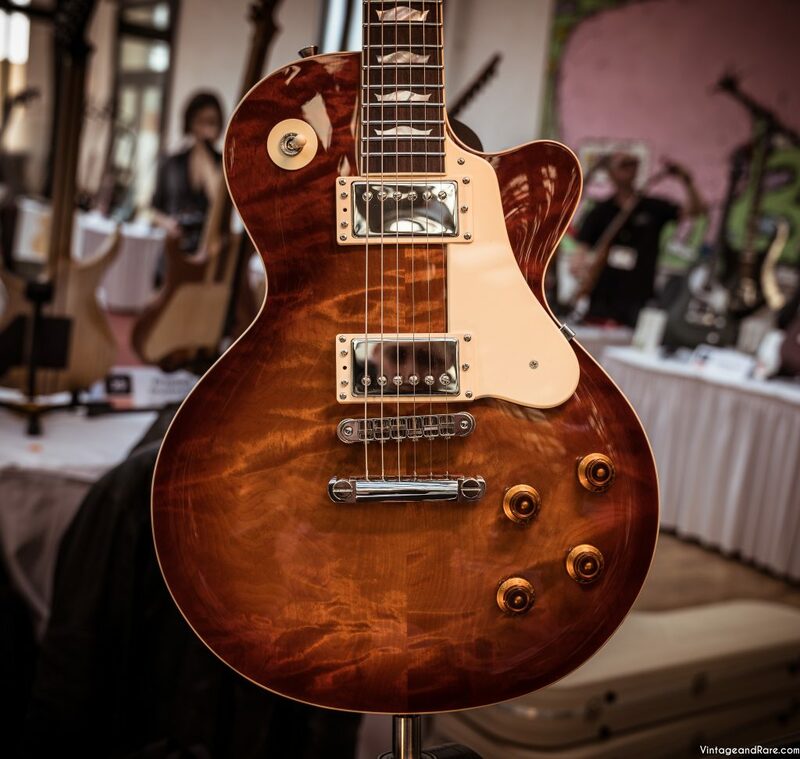 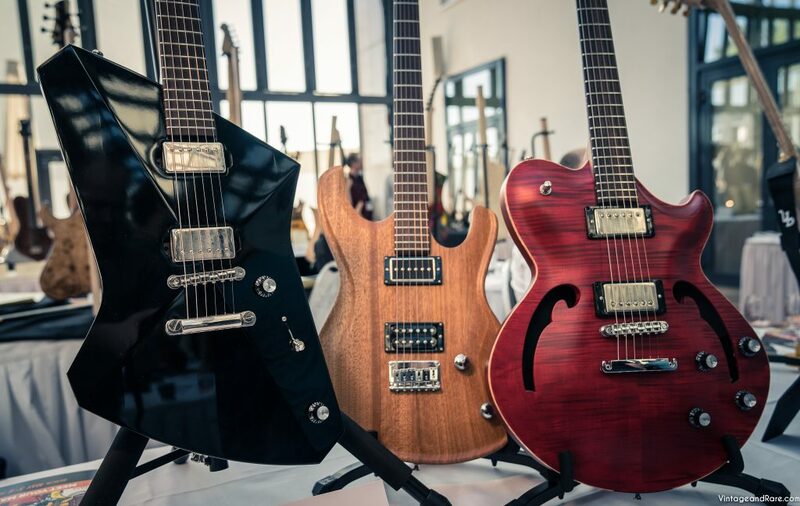 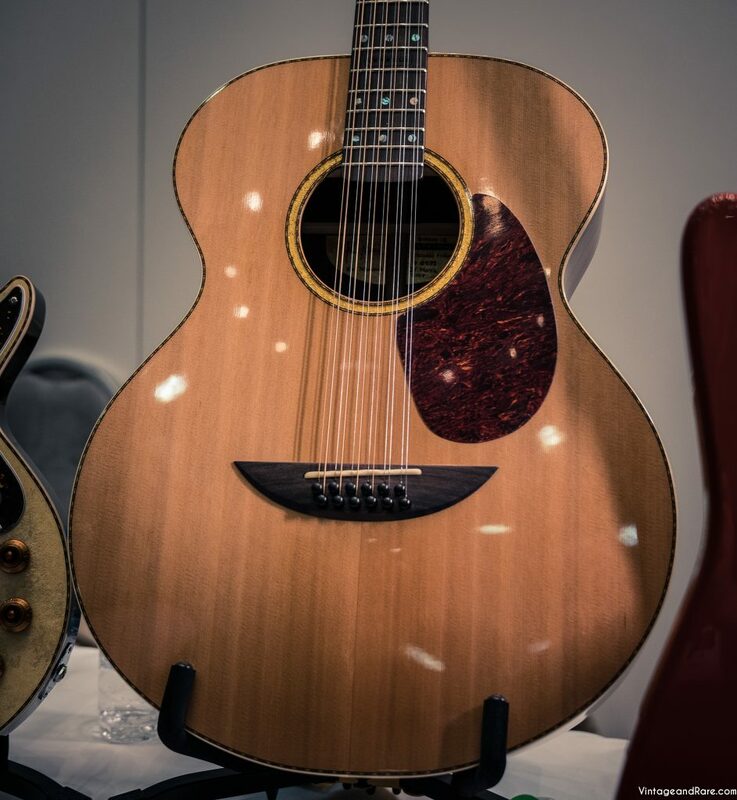 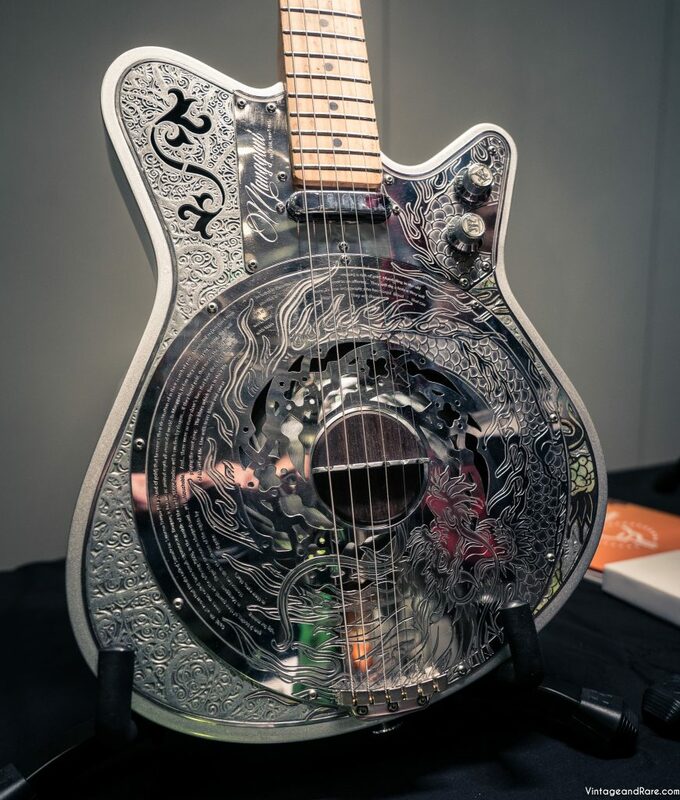 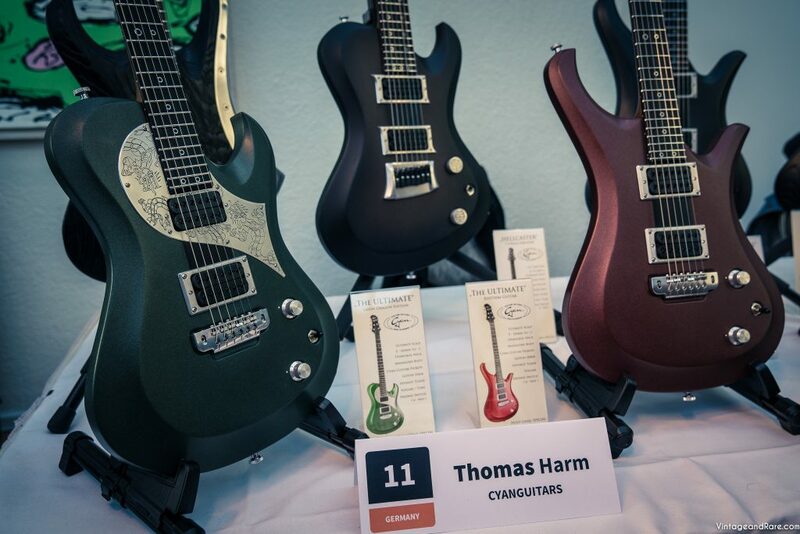 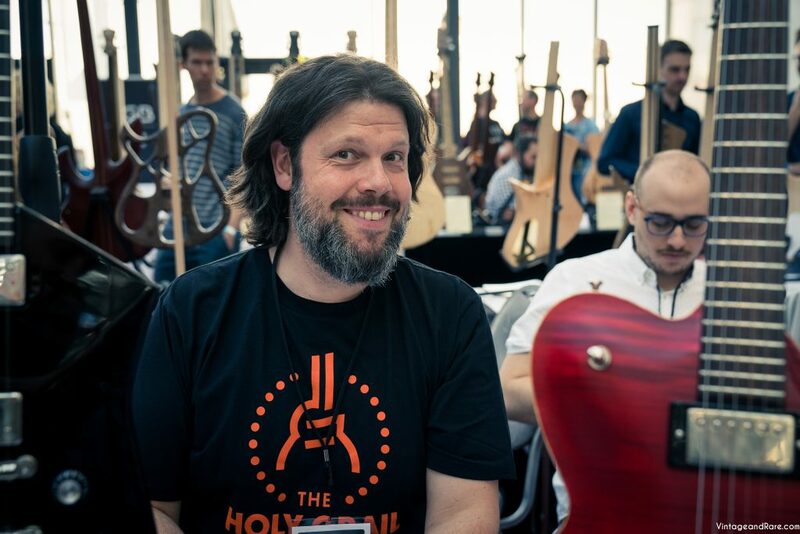 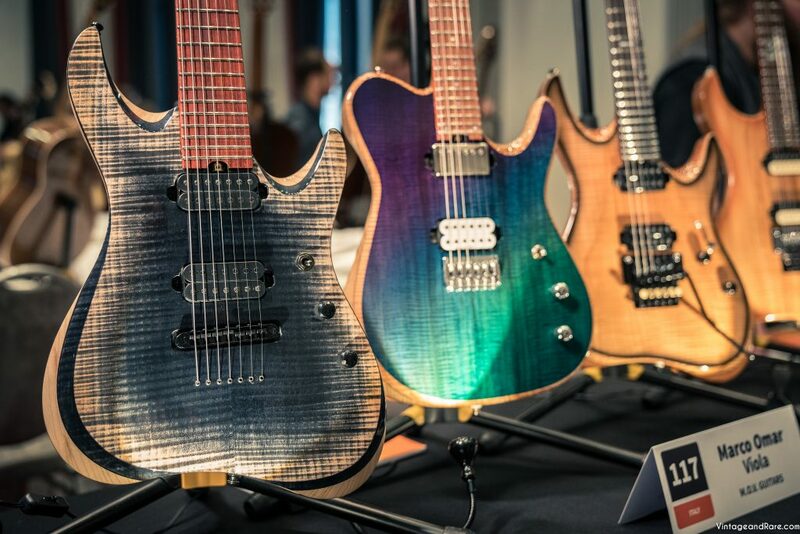 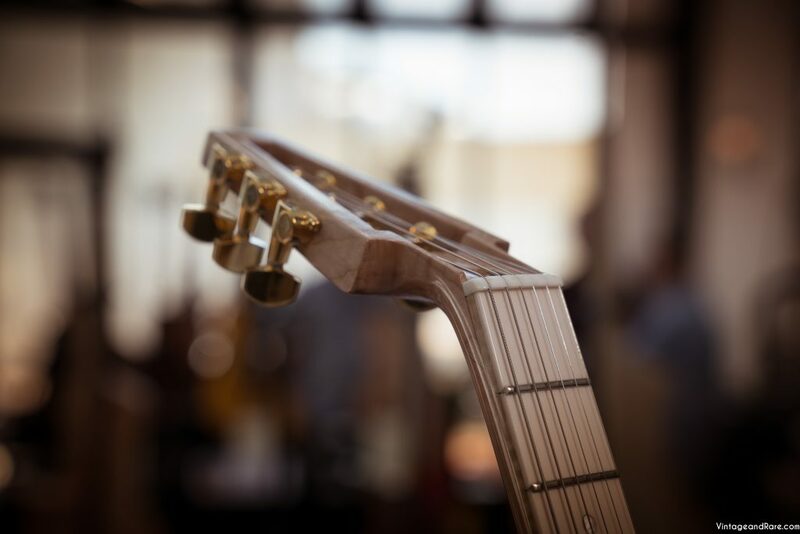 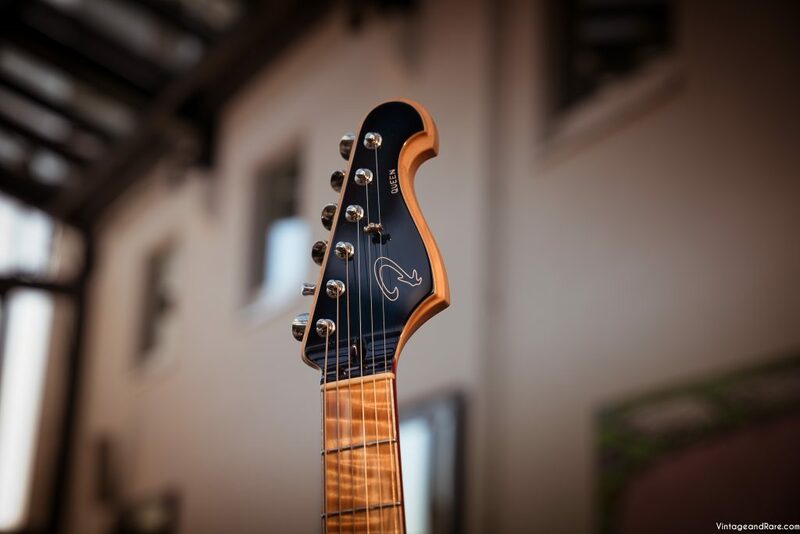 Hope to see you again next year when we roll out a new guitarshow in Copenhagen with unique and handmade guitars. 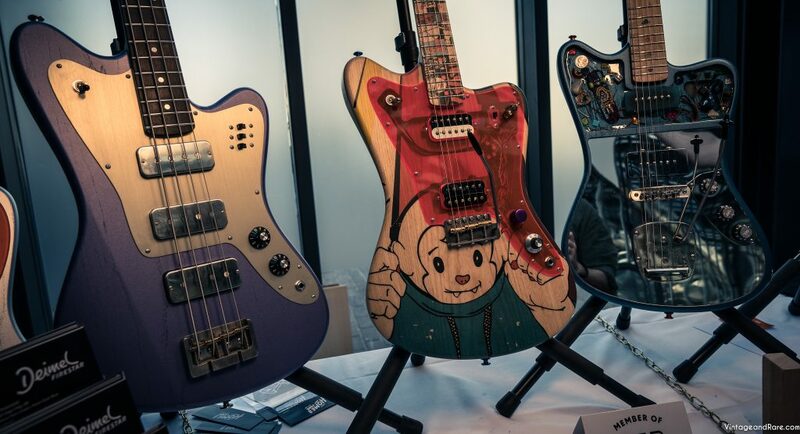 Below is a gallery of pictures from the show. 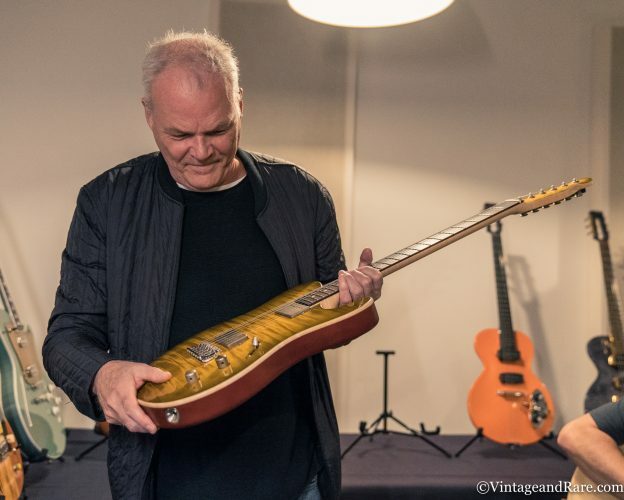 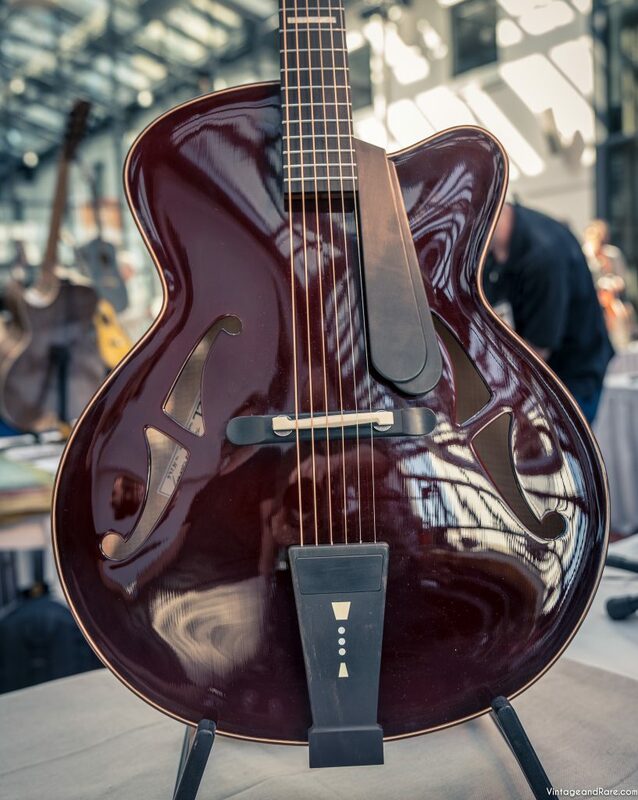 On Sunday the 15th October, Vintage & Rare will host the Boutique Guitar Showcase in Copenhagen. 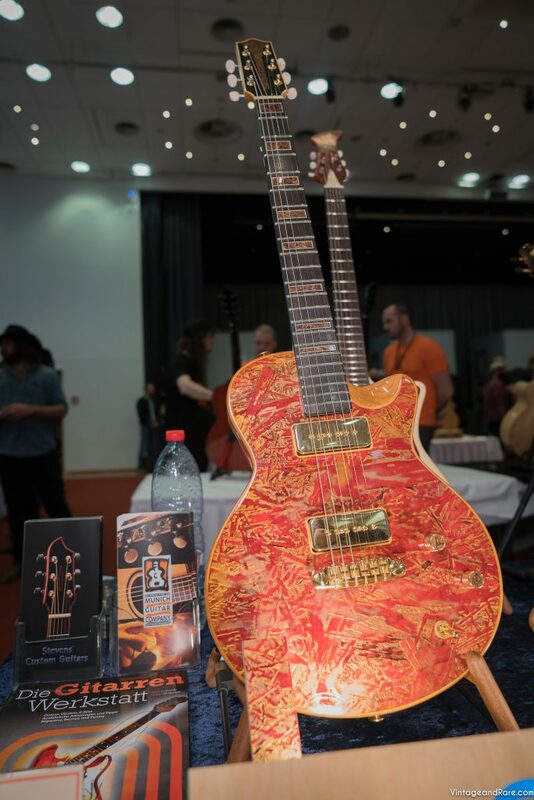 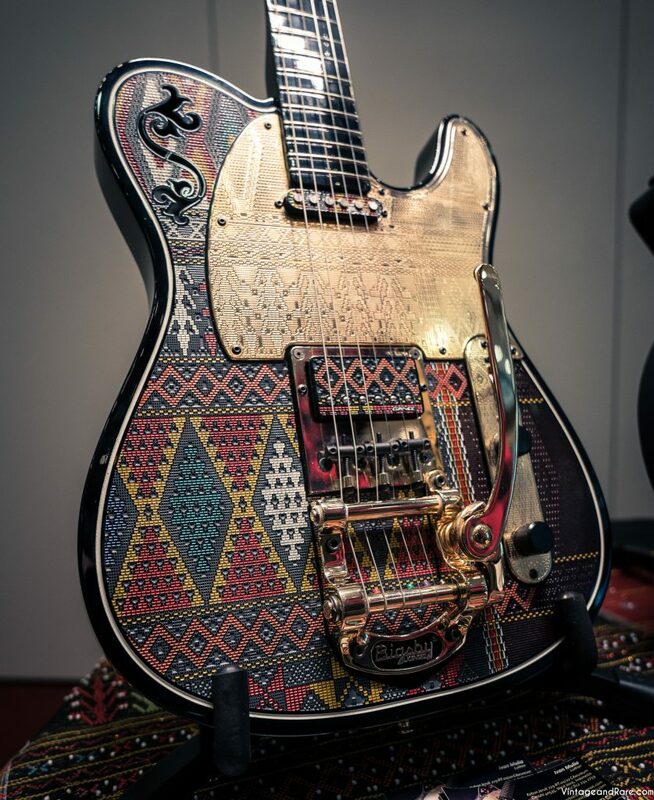 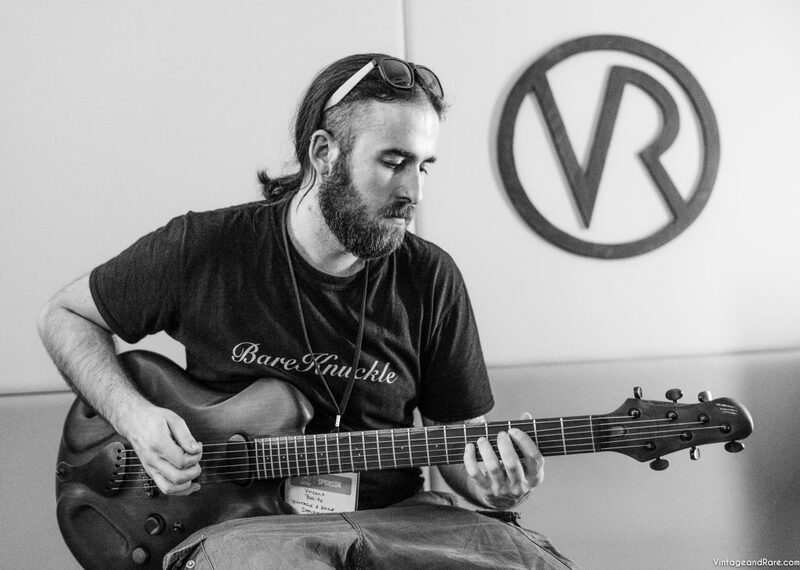 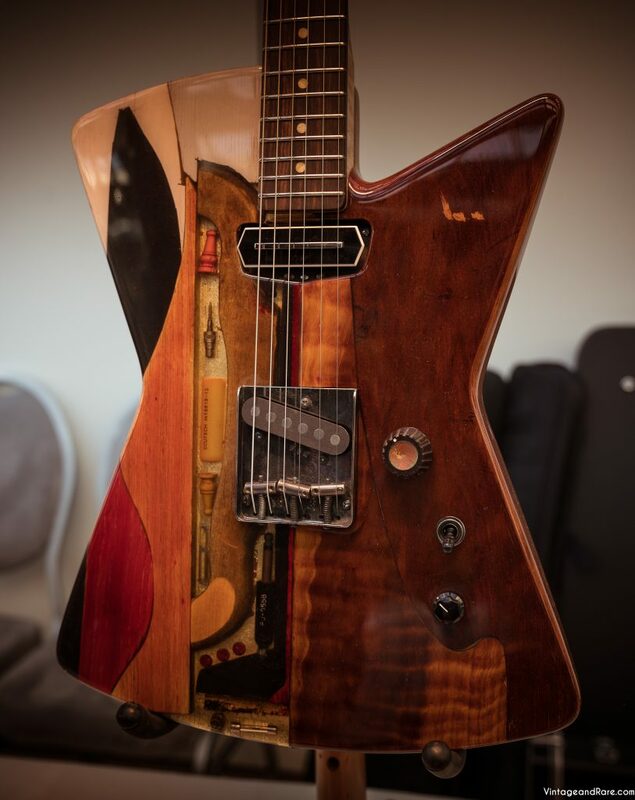 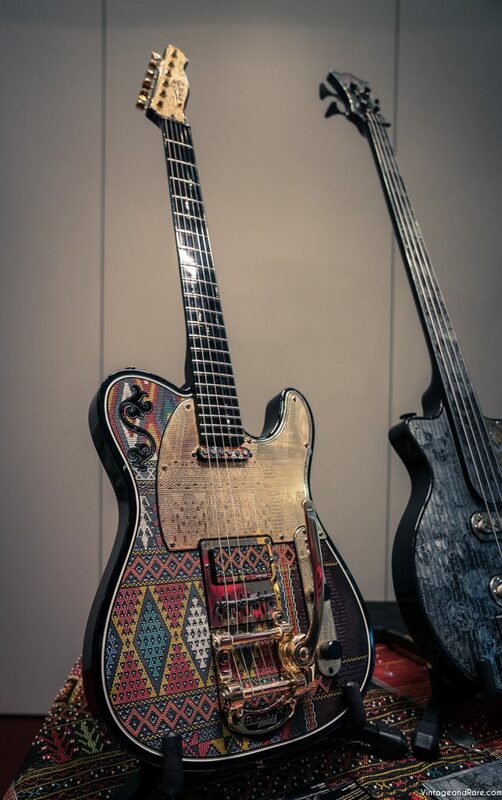 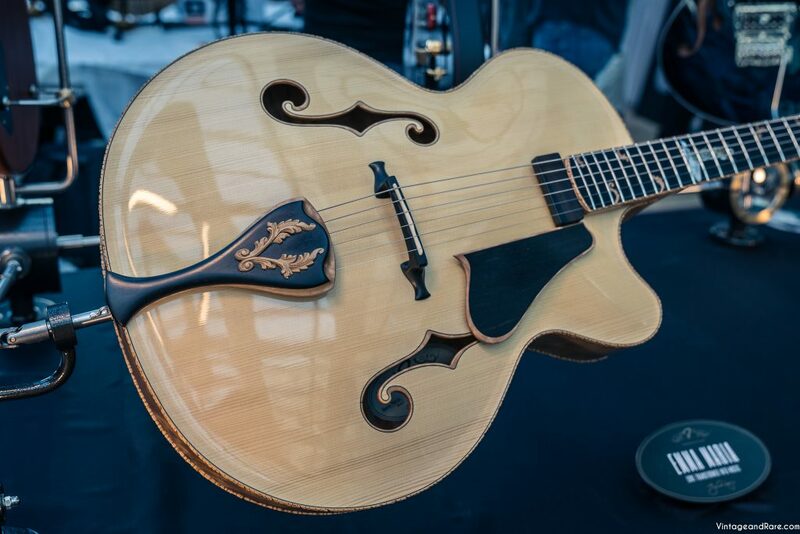 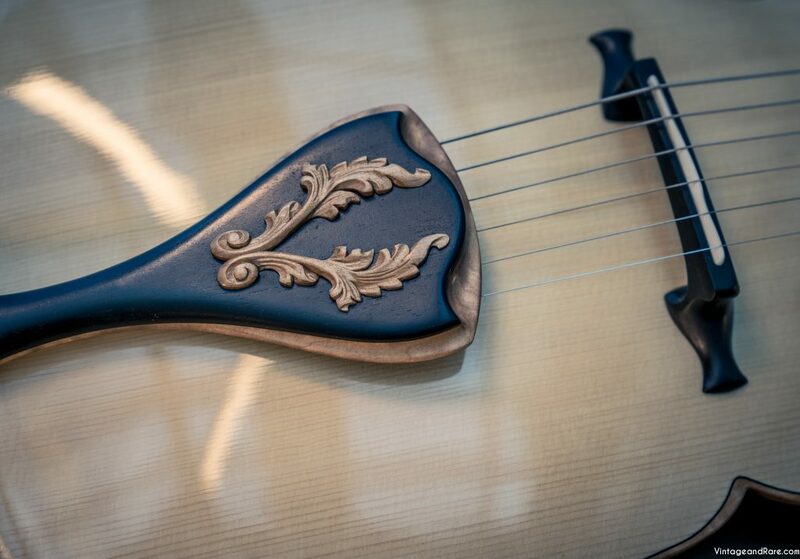 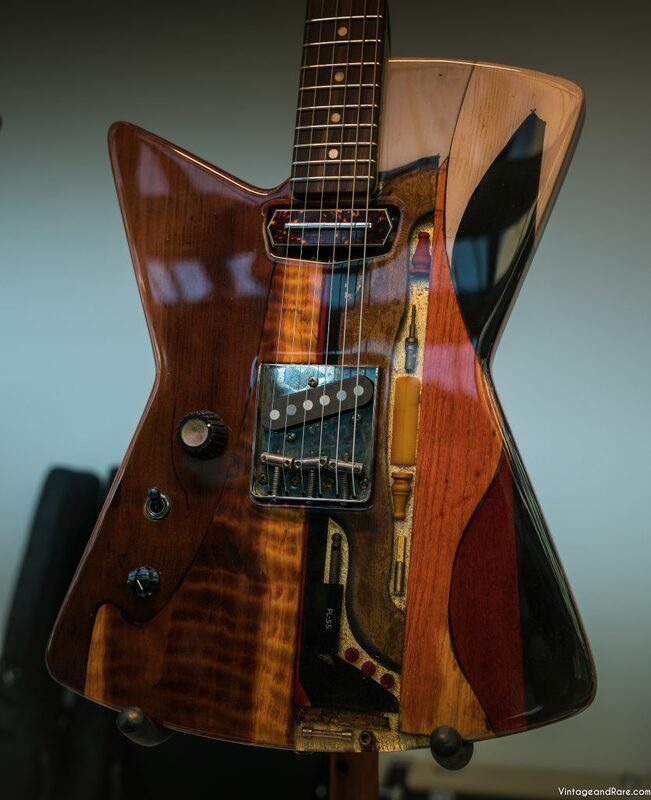 Jamie Gale has curated an incredible collection of unique hand crafted guitars from top makers around the globe and brought them on tour in the US and Europe. 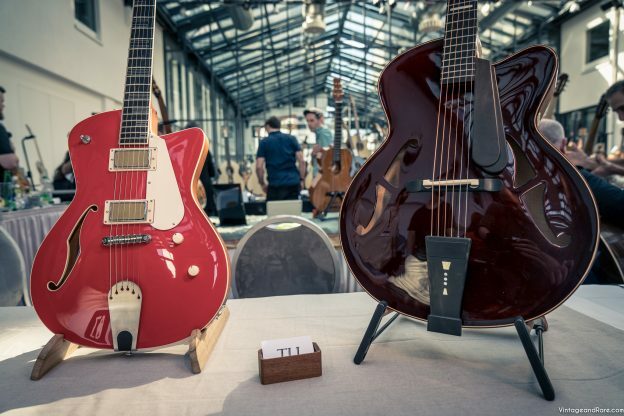 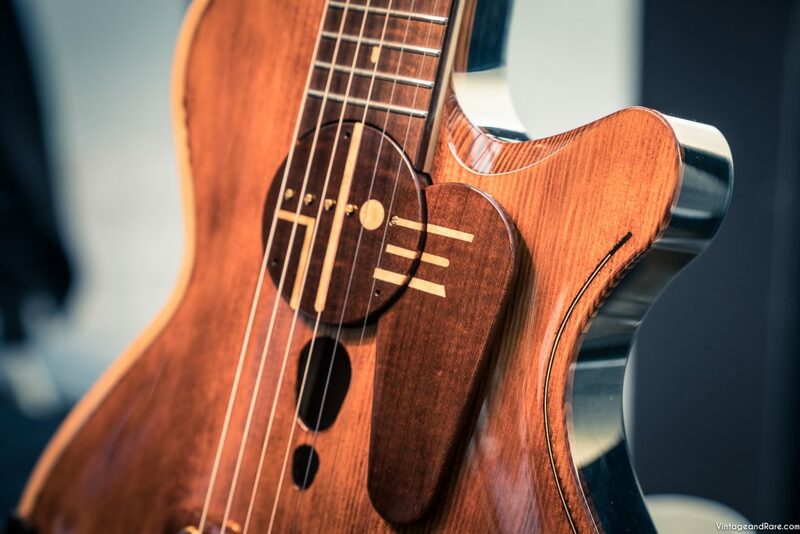 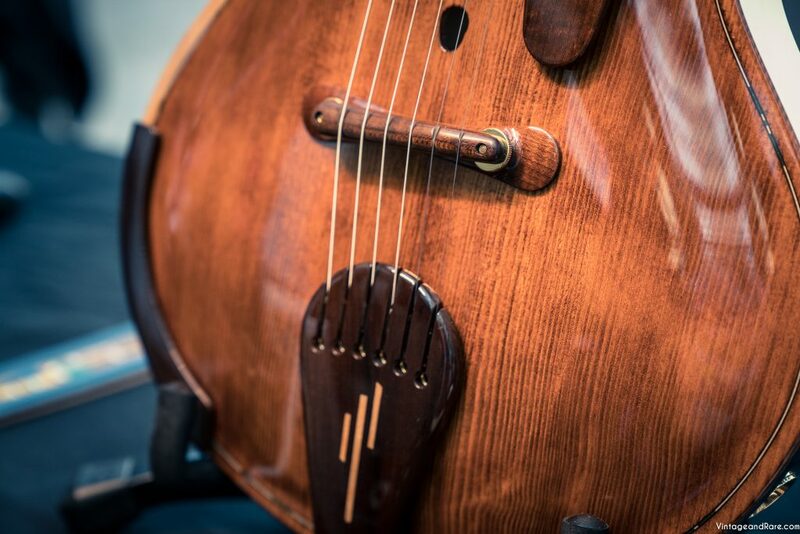 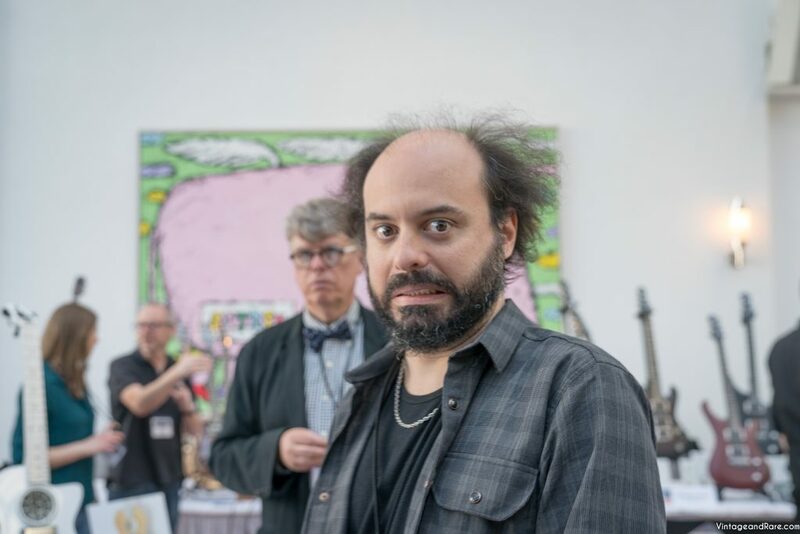 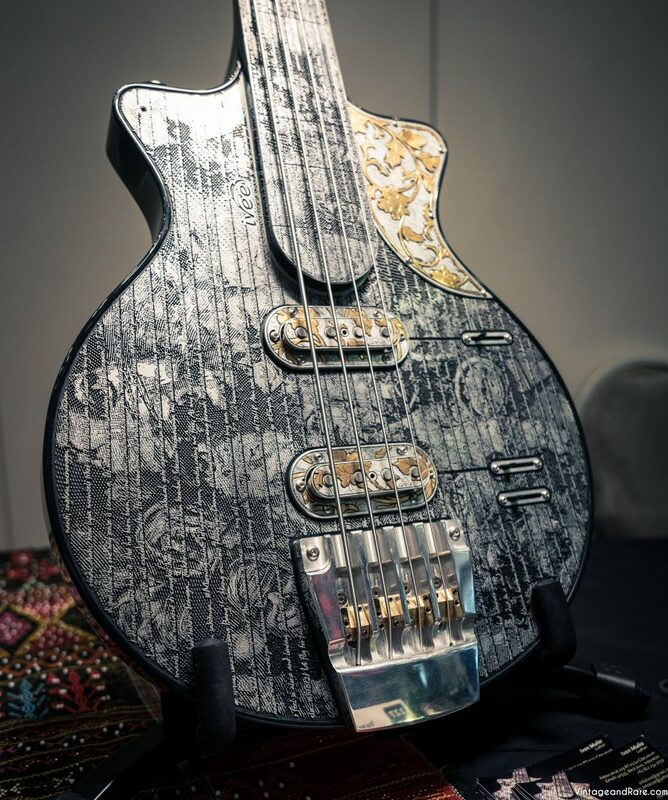 If you’re in Copenhagen on Sunday, don’t miss the opportunity to see, try and acquire a one of a kind, boutique instruments on this one night event. 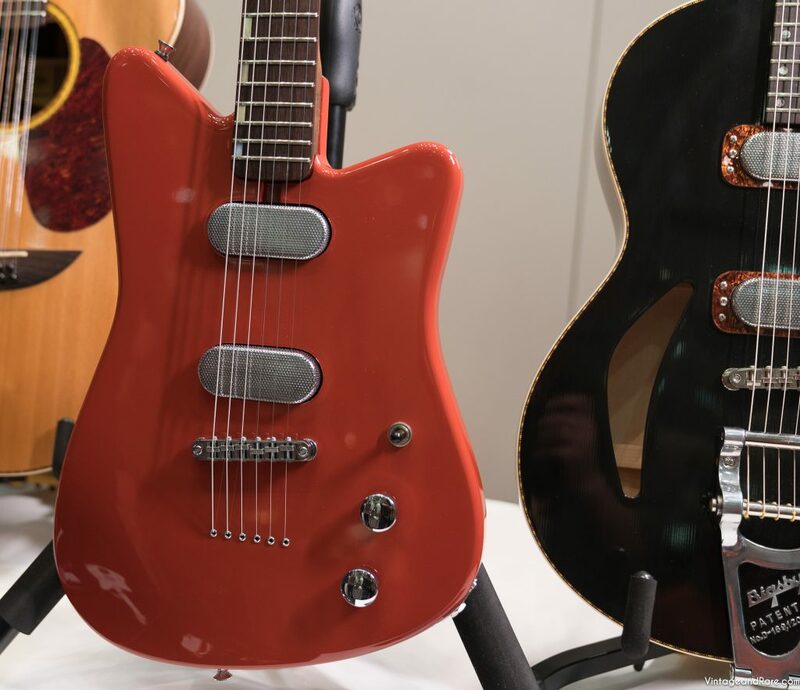 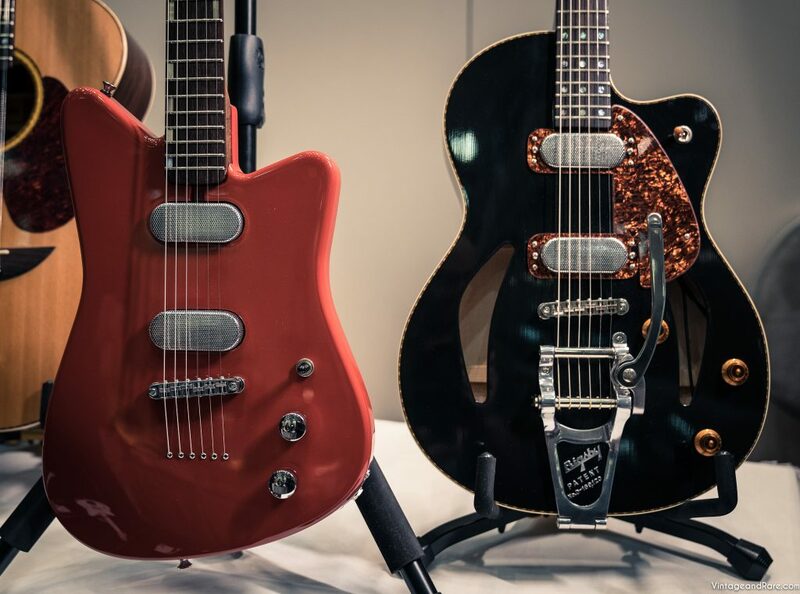 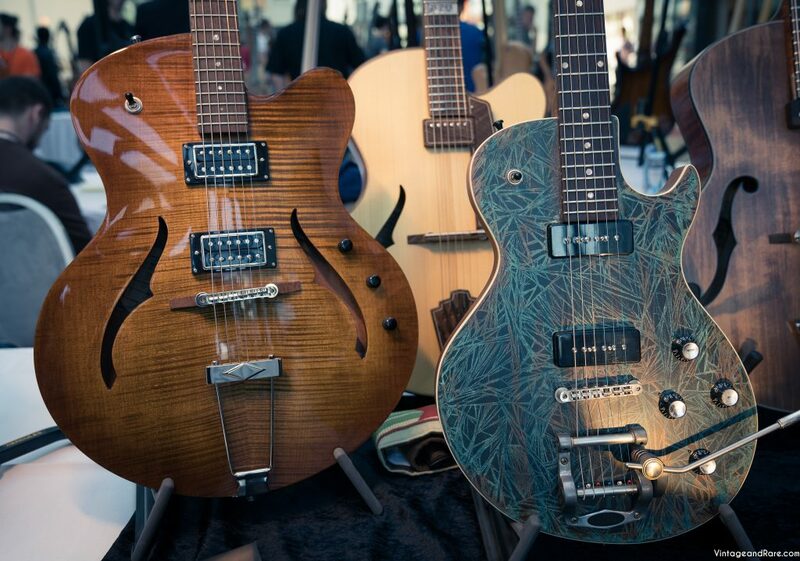 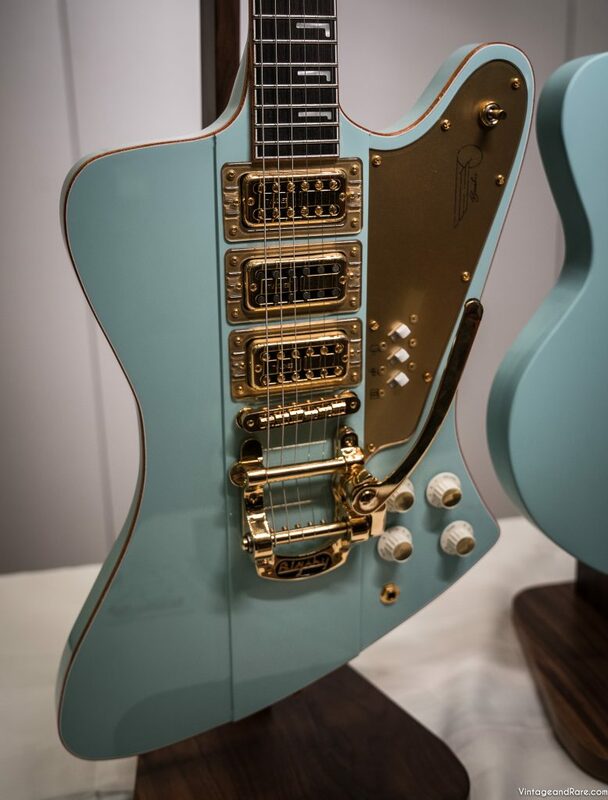 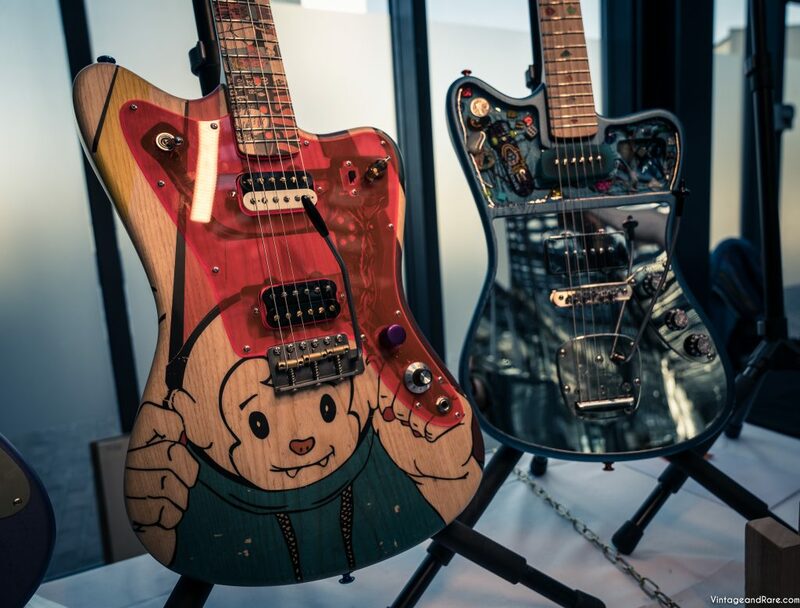 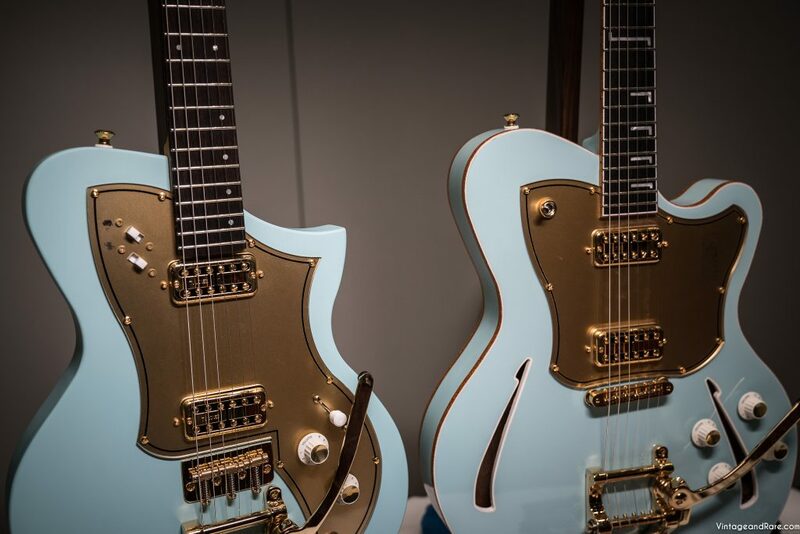 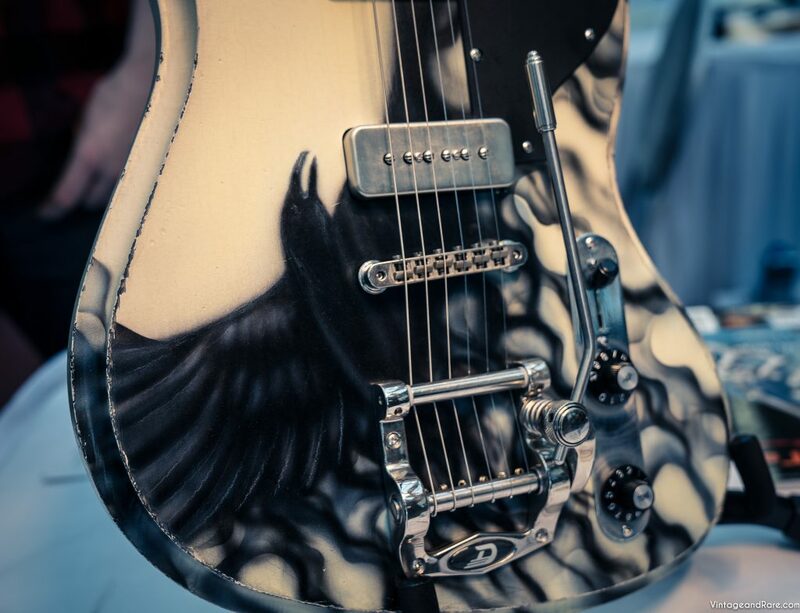 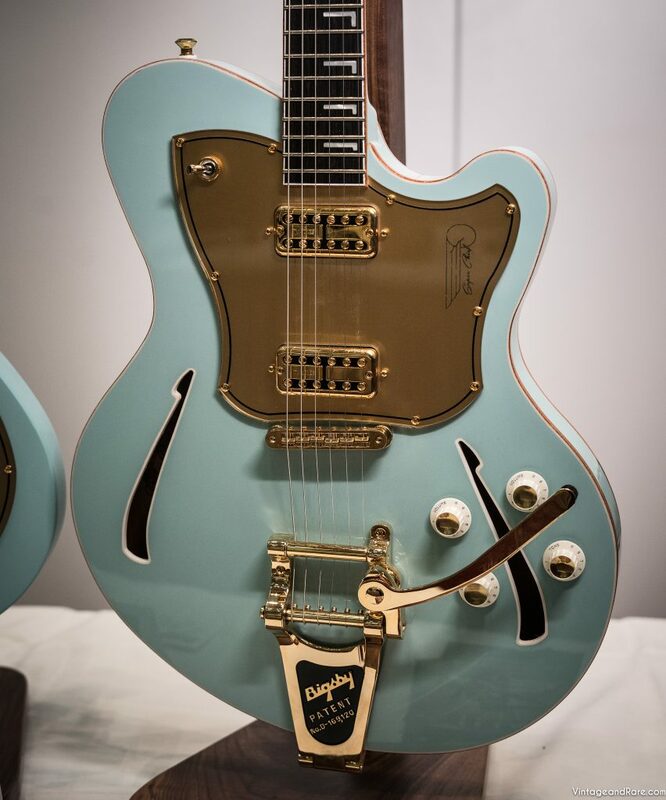 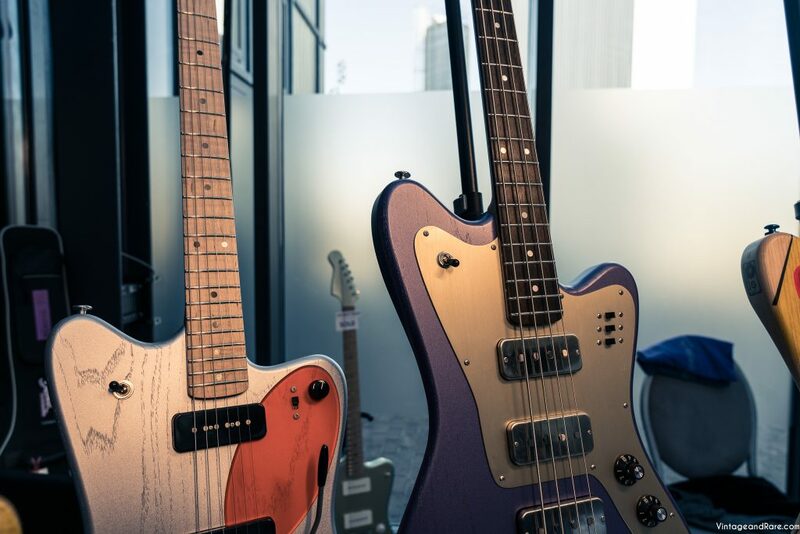 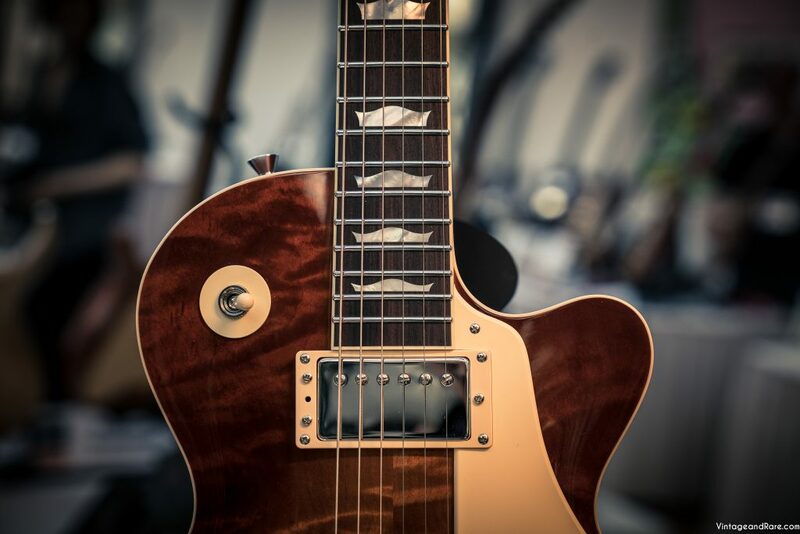 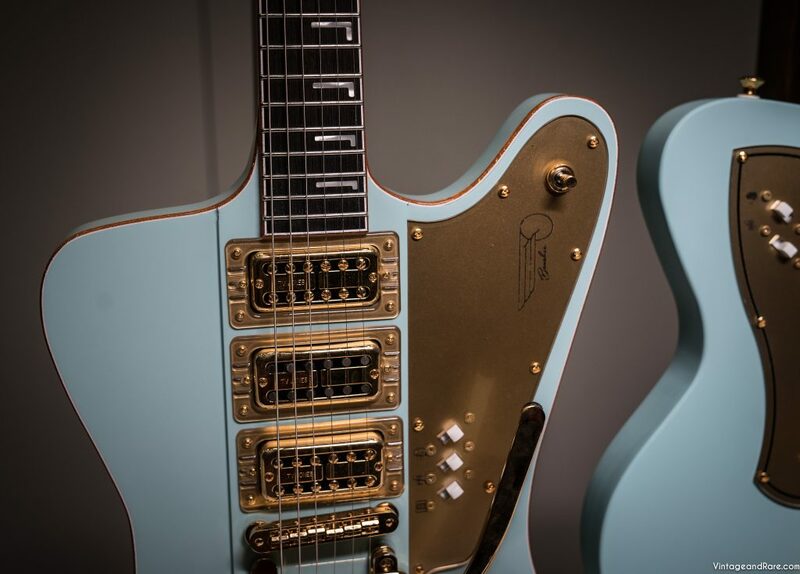 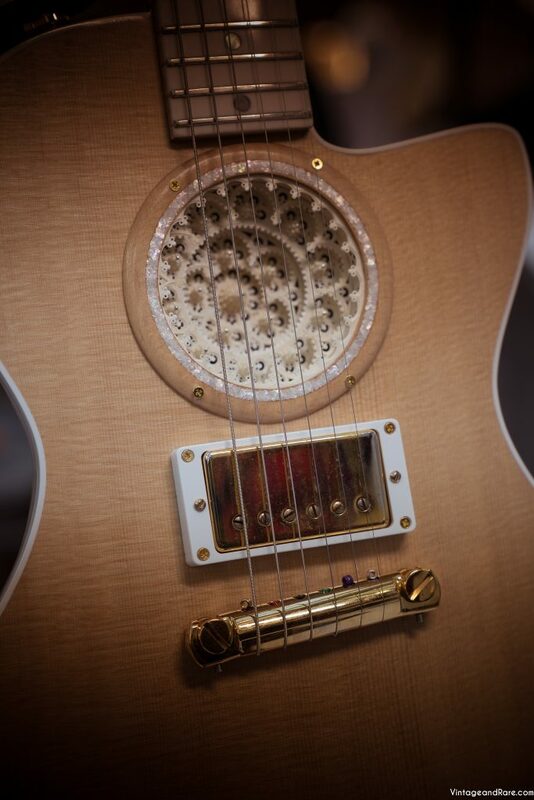 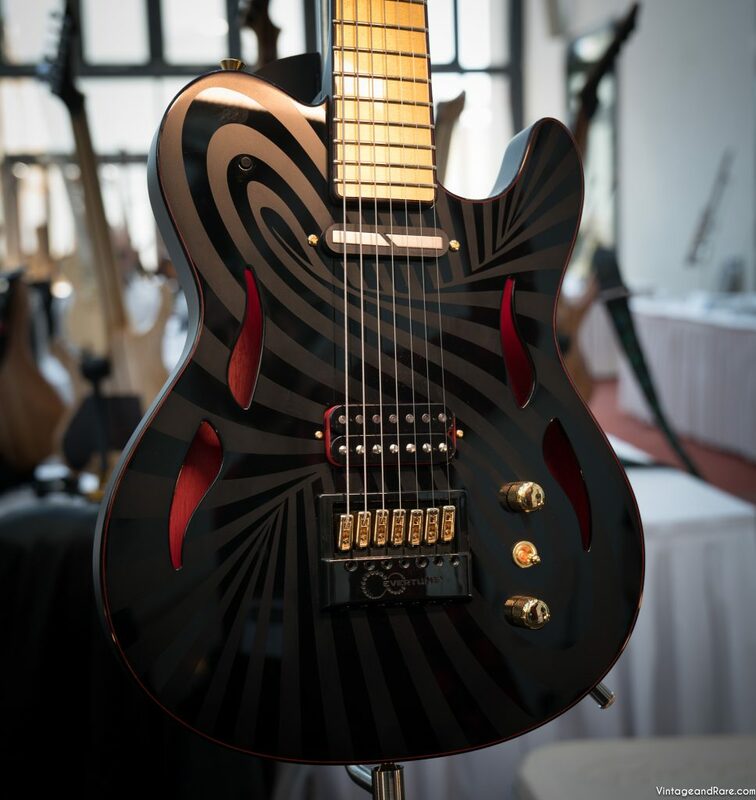 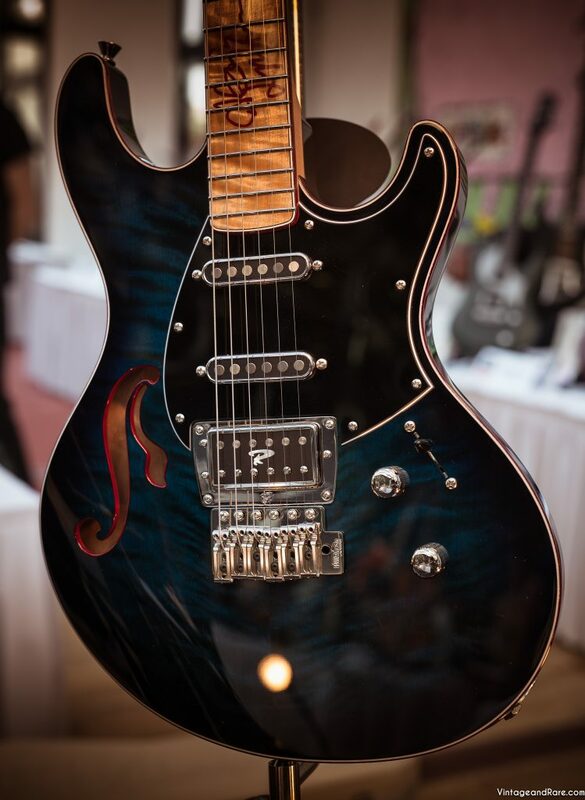 Get a sneak peak of some of the guitars below. 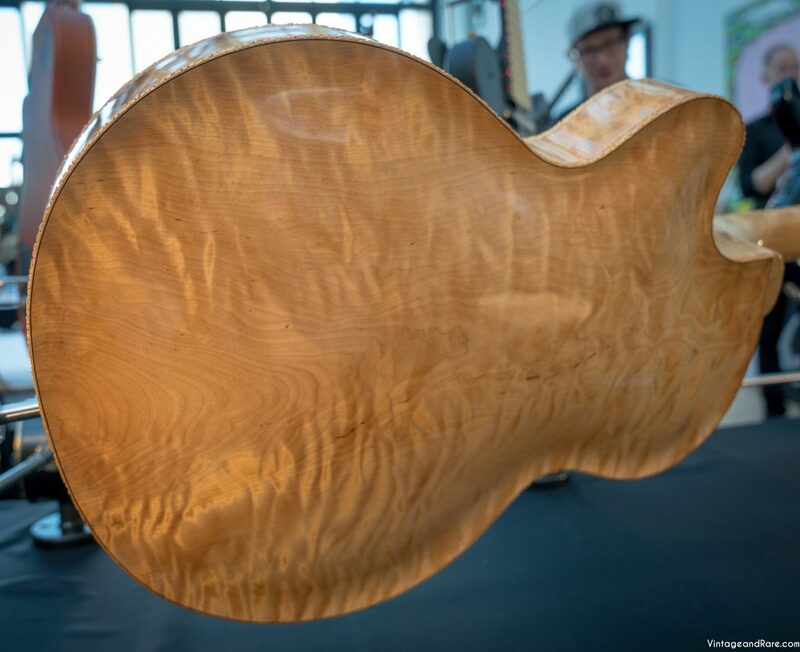 A lot of people have been asking us about the CITES regulations on Rosewood and certain types of Bubinga, as well as what this means for them, so we decided to write a bit about the subject. 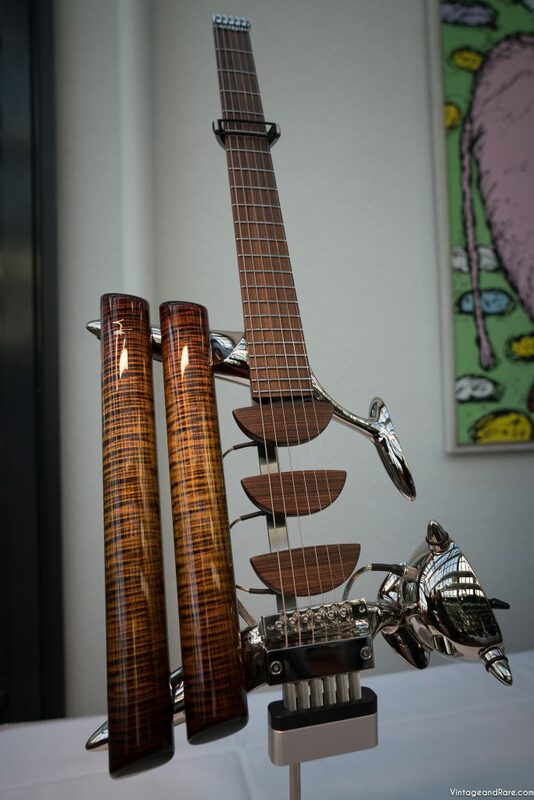 CITES stands for Convention on International Trade in Endangered Species of Wild Fauna and Flora, which is essentially a treaty to protect endangered species (plants and animals). 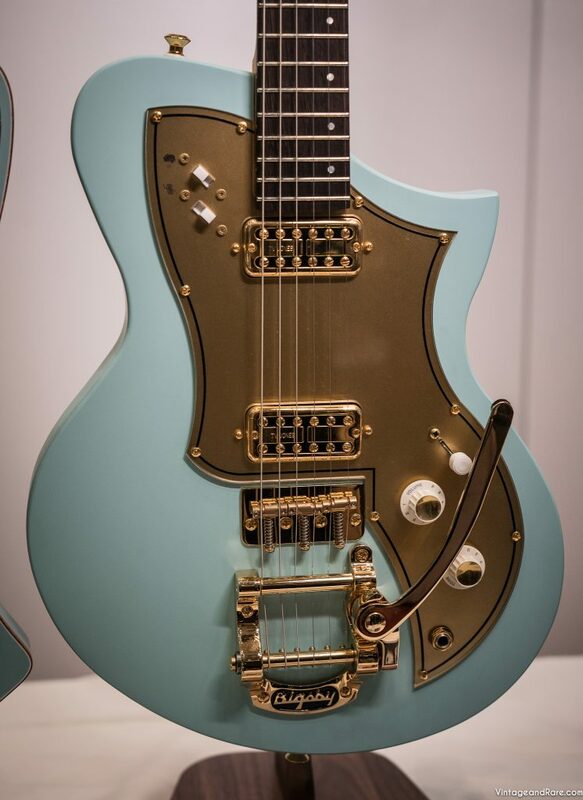 Here is a demo of the Wizard Overdrive from swedish boutique-builder Olsson Amps. 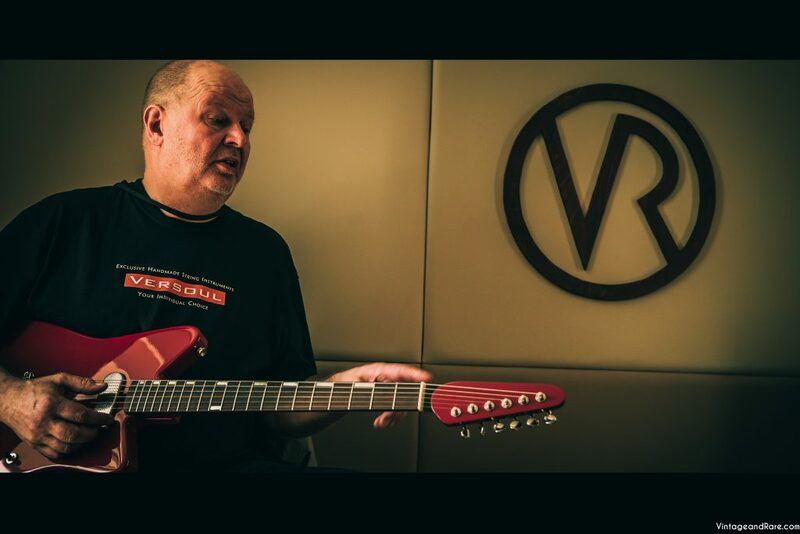 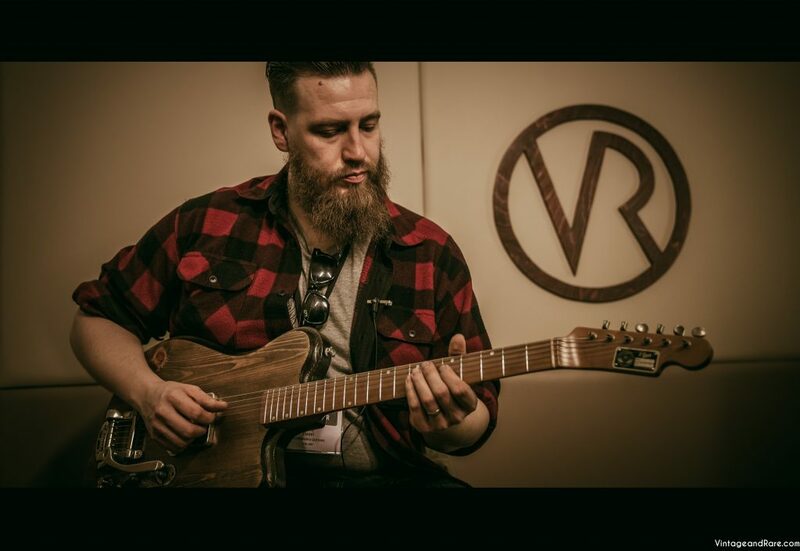 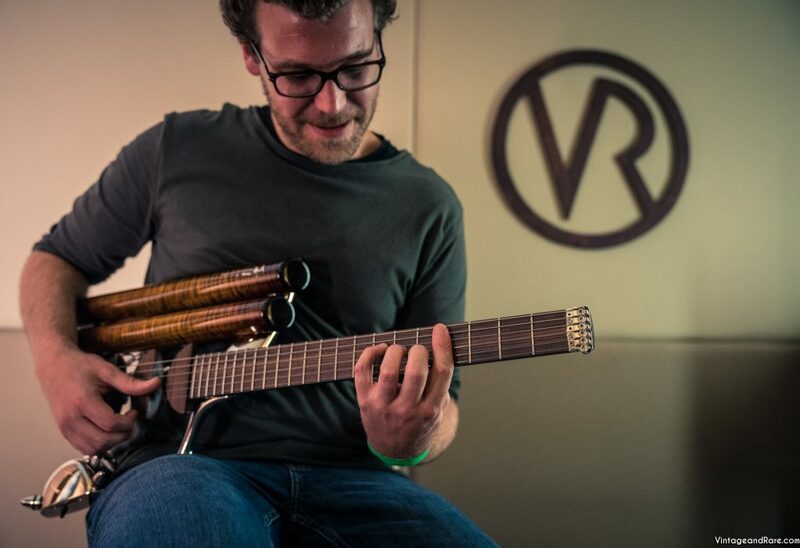 Check out V&R demonstrator, Henrik Berger, taking this great and versatile overdrive pedal for a test drive. 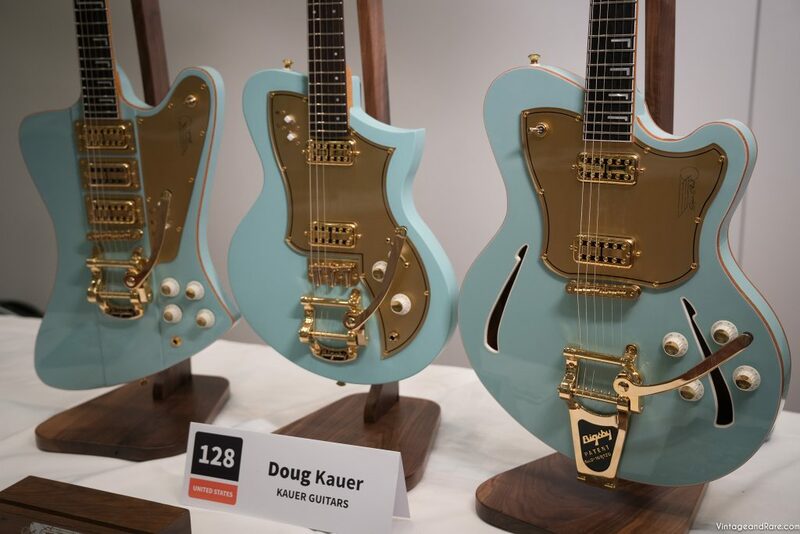 Demo of the great Jetfuzz by spanish boutique builder: Dag Pedals. 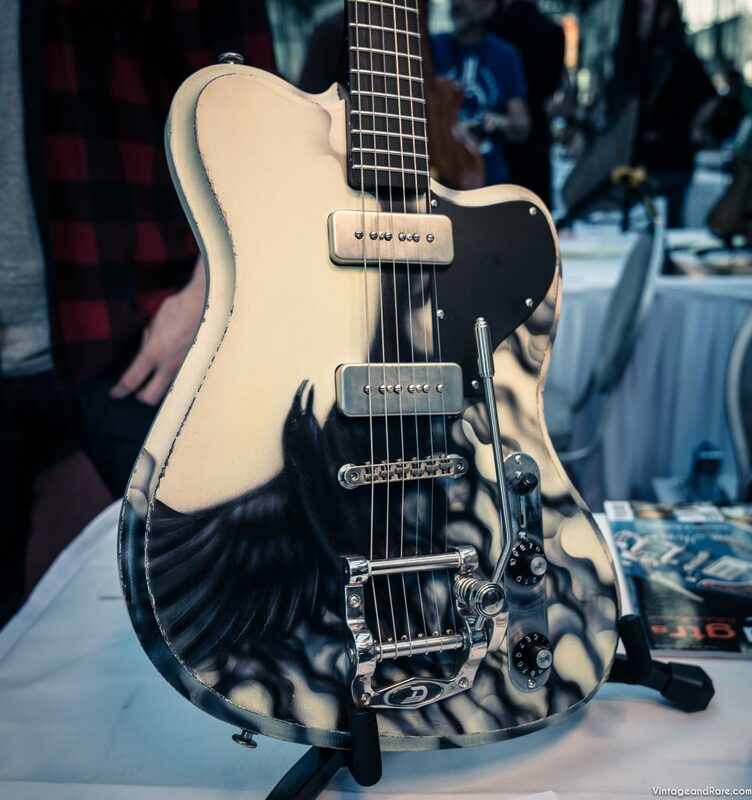 We are big fans fuzz pedals and this is a great fuzz we recently stumpled over. 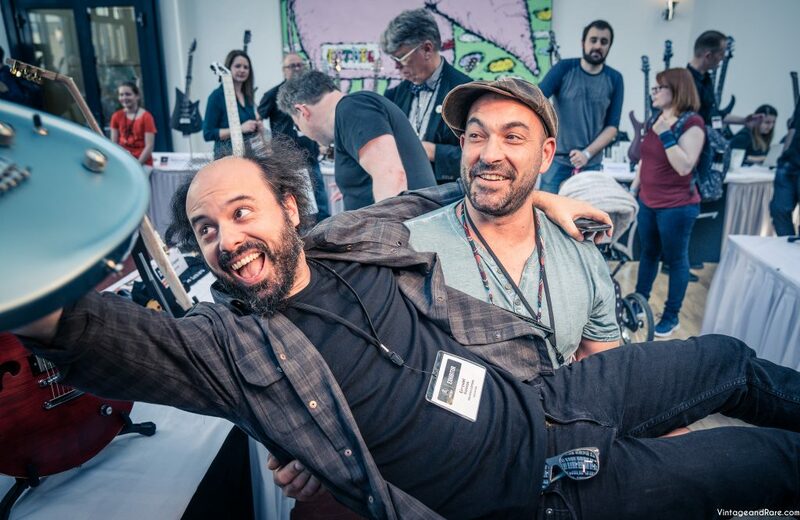 Dag Pedals is Run by Diego and is one of the very few boutique builders located on Mallorca, Spain. 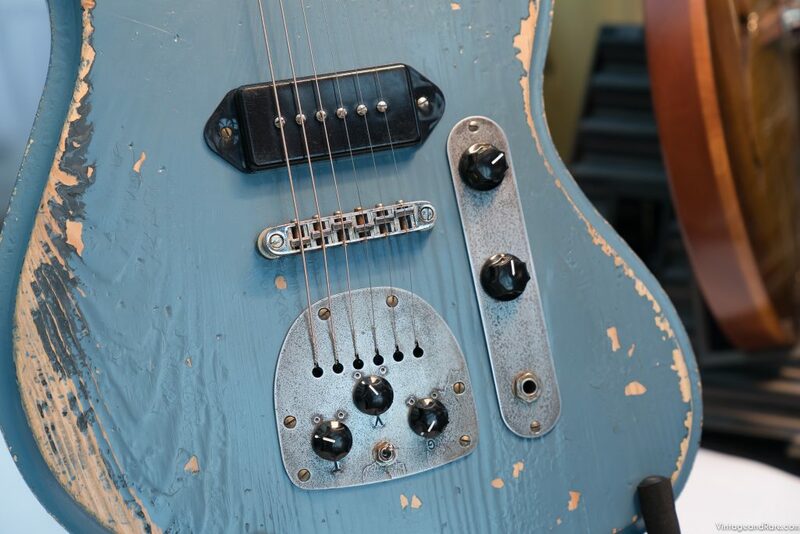 The Jetfuzz it’s not a clone of any production pedal, sound wise it can be described as a mix between a Muff and a Tonebender. 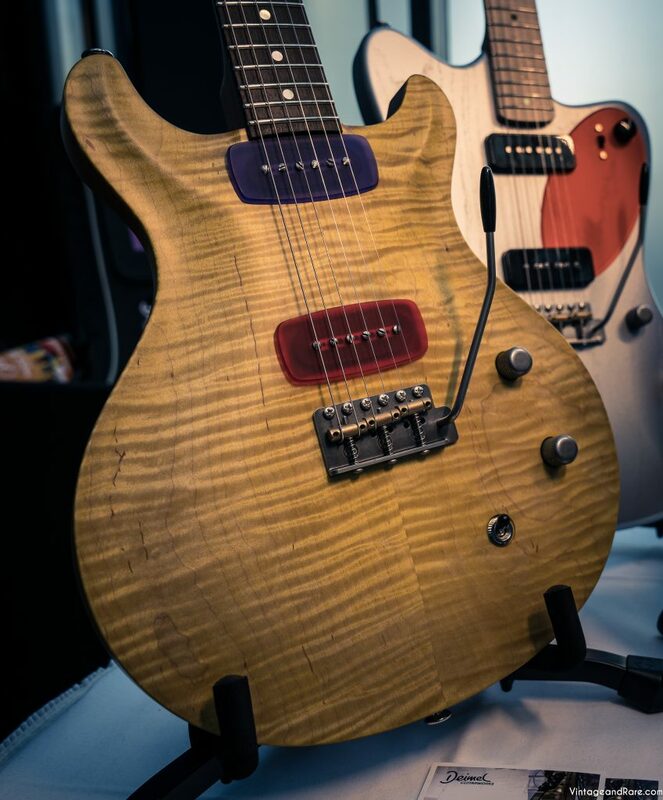 The sound is not scooped as in a Muff good sustain and in some settings can achieve a raw chainsaw fuzz or more of a distortion sound.